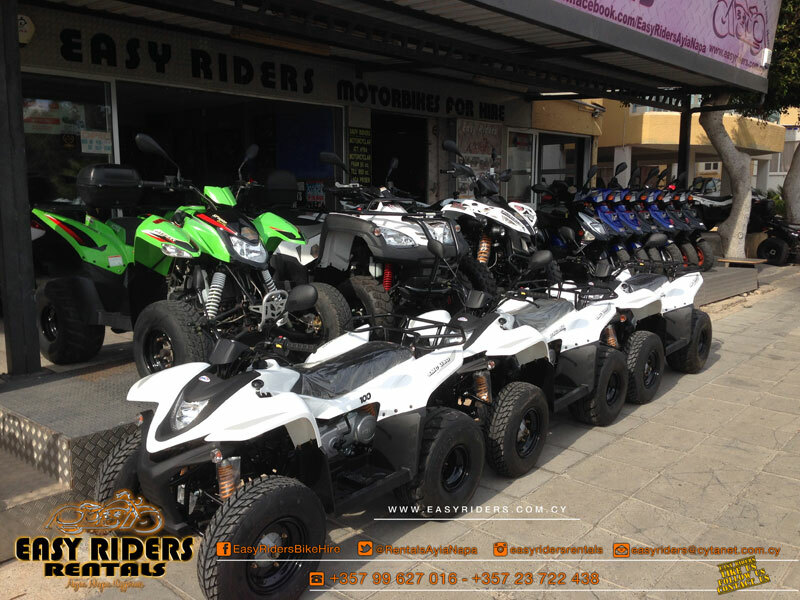 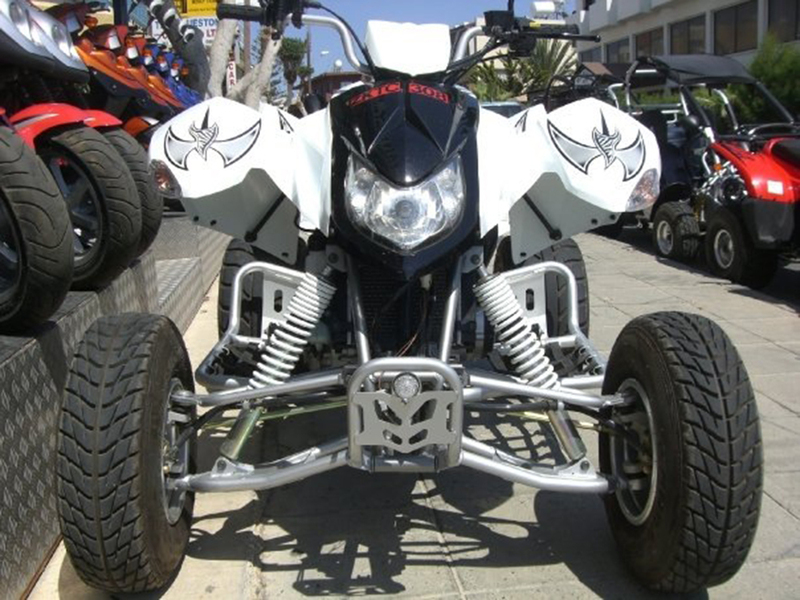 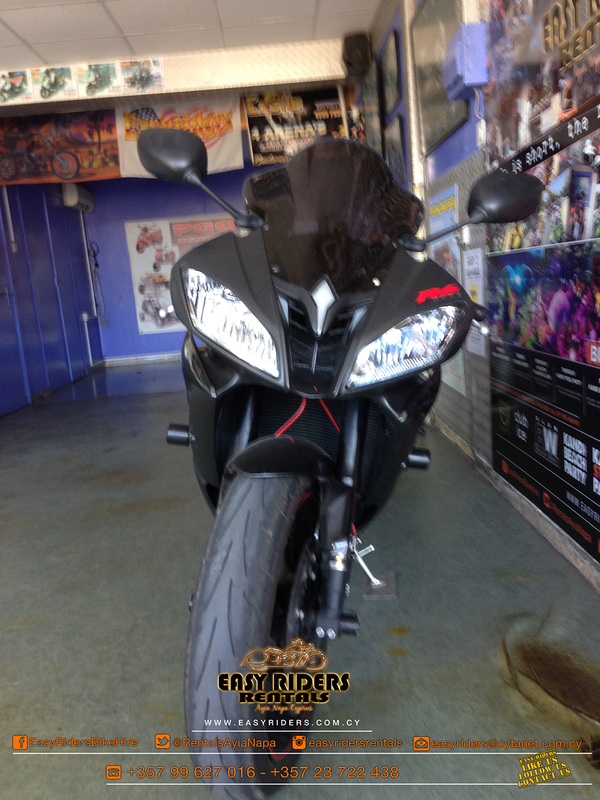 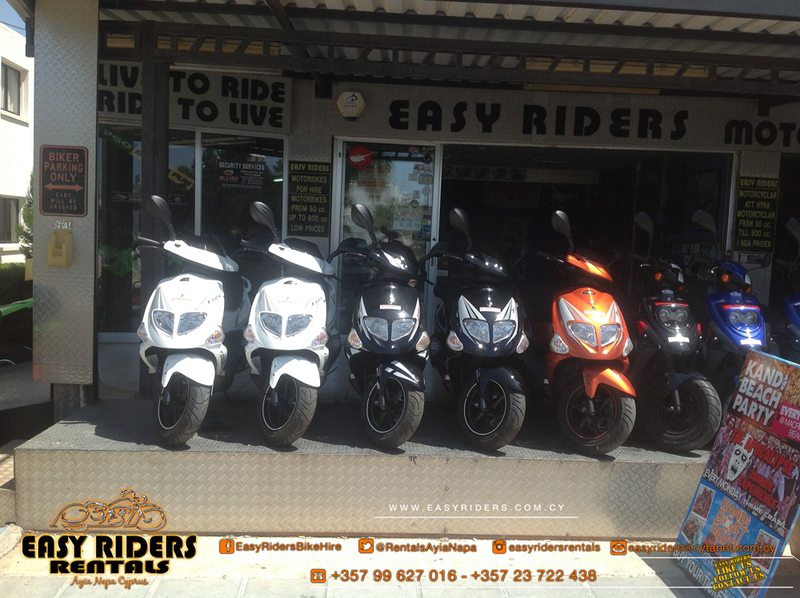 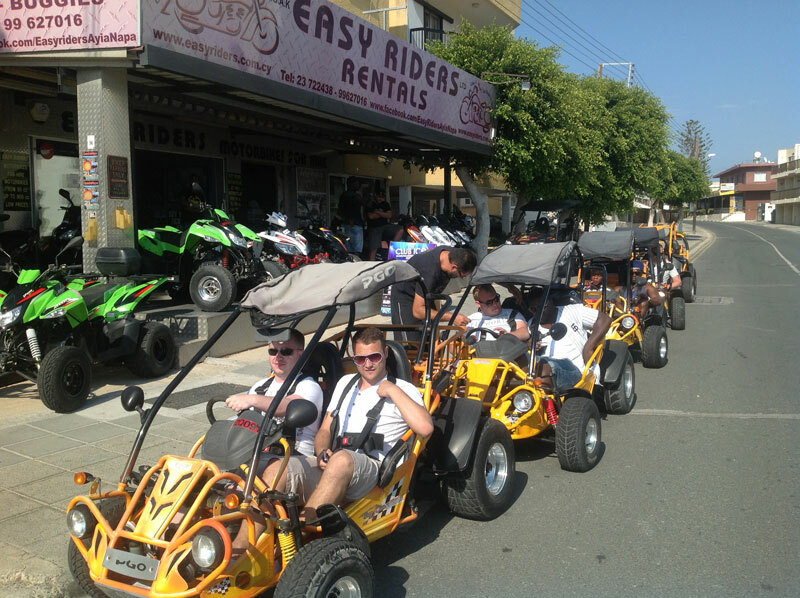 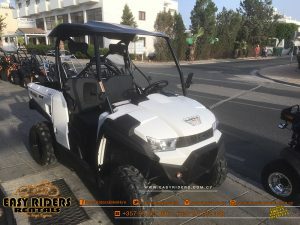 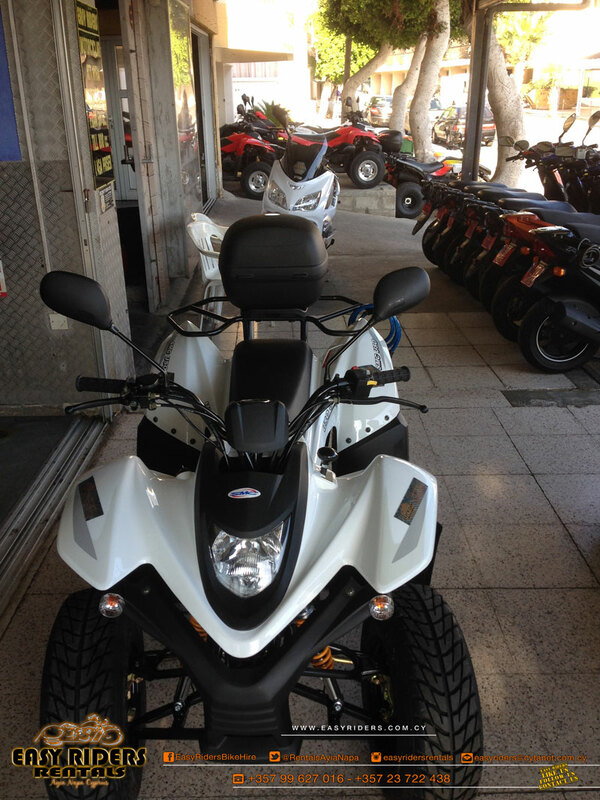 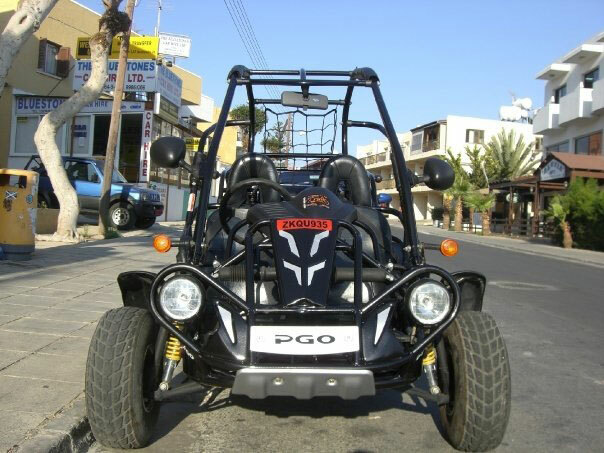 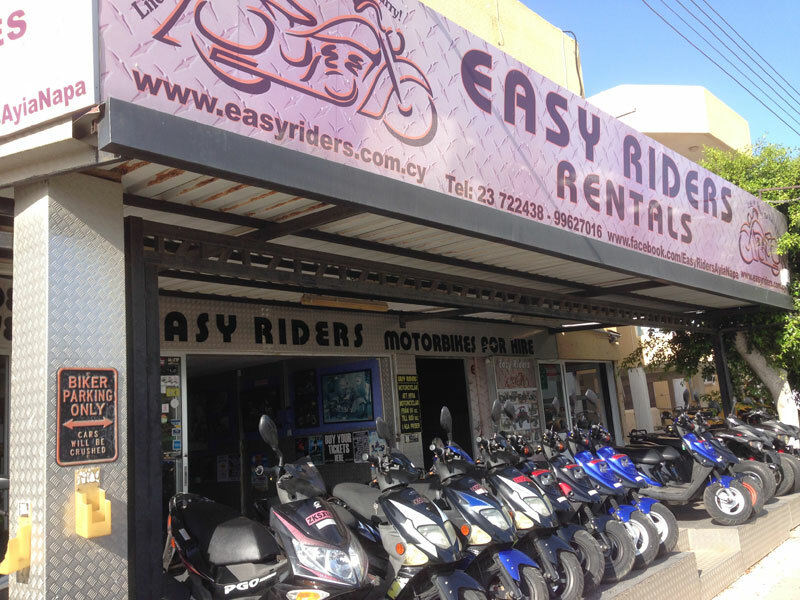 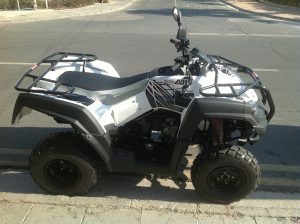 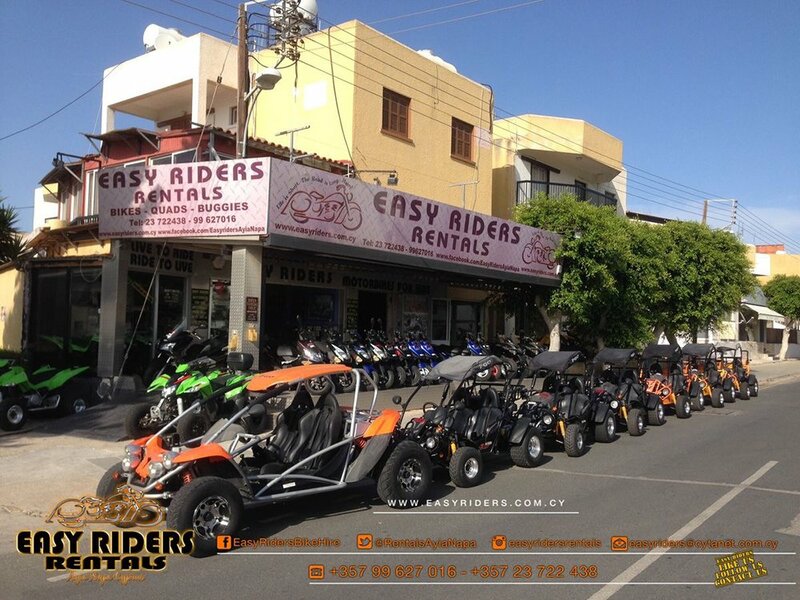 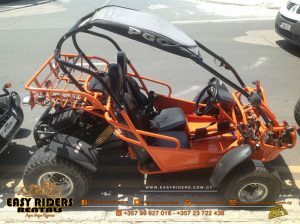 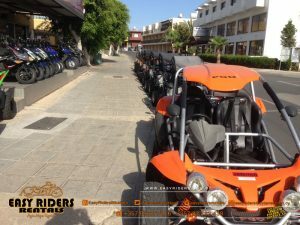 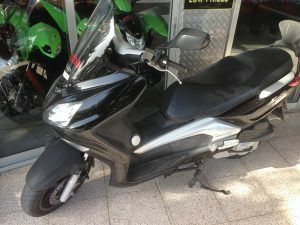 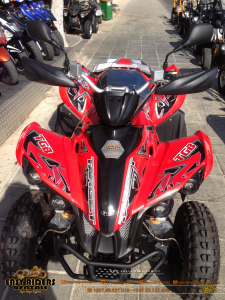 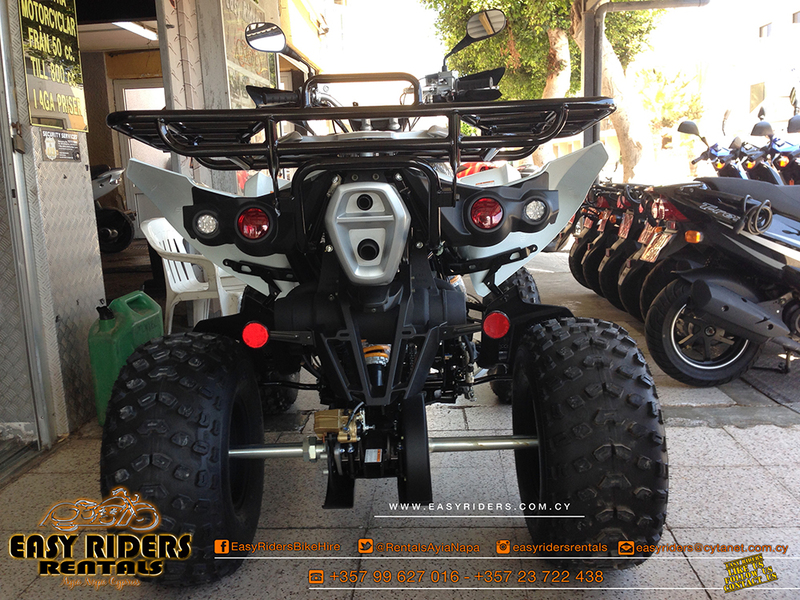 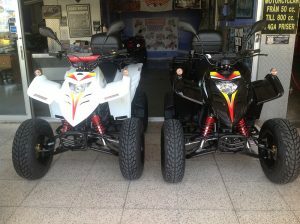 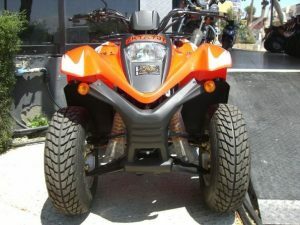 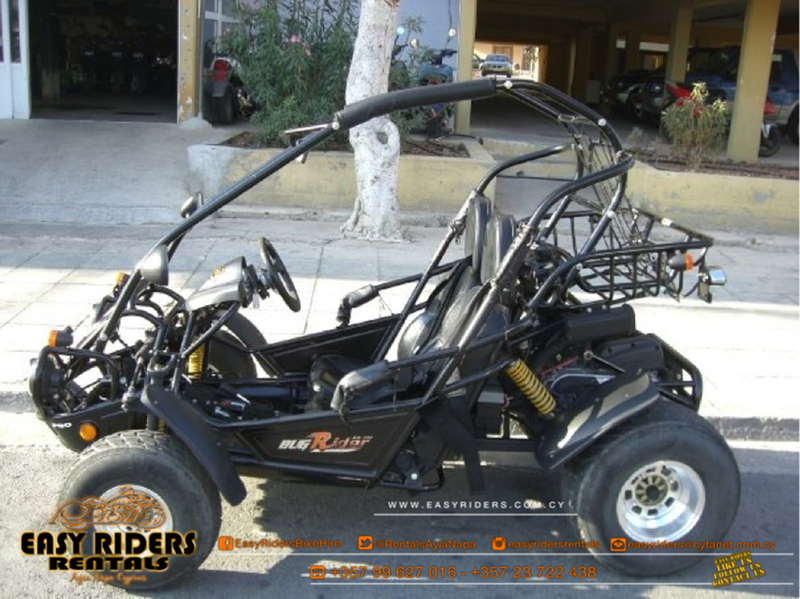 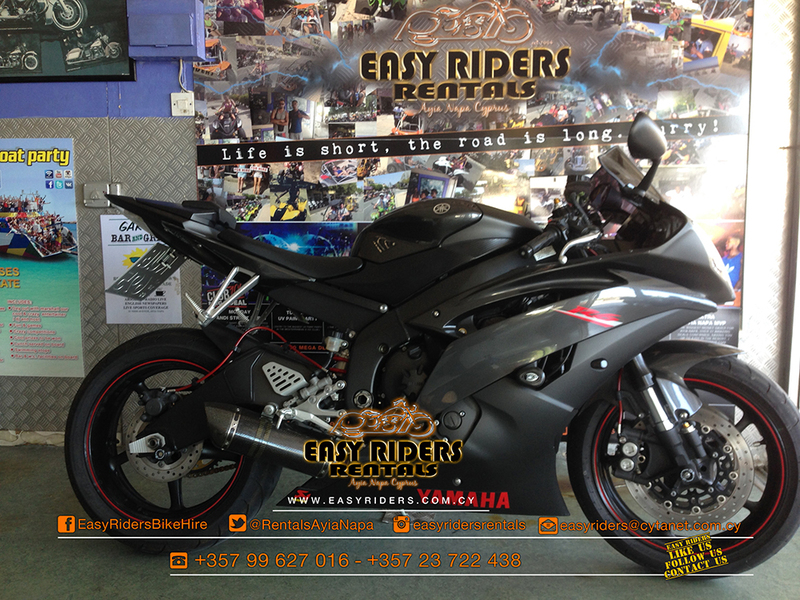 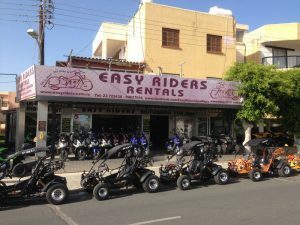 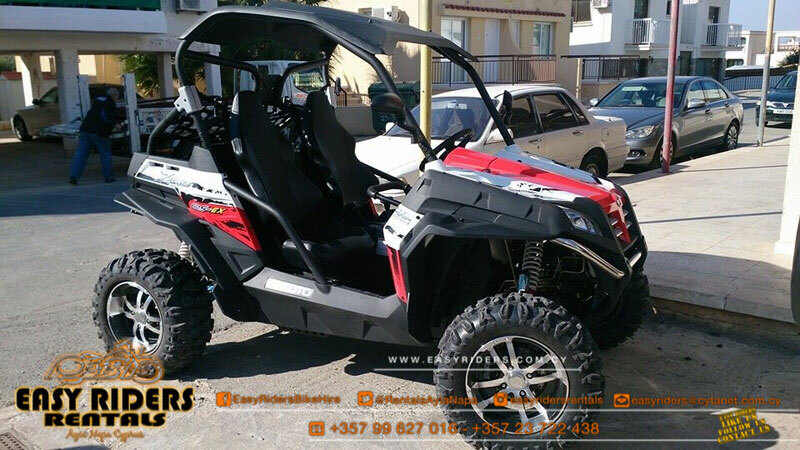 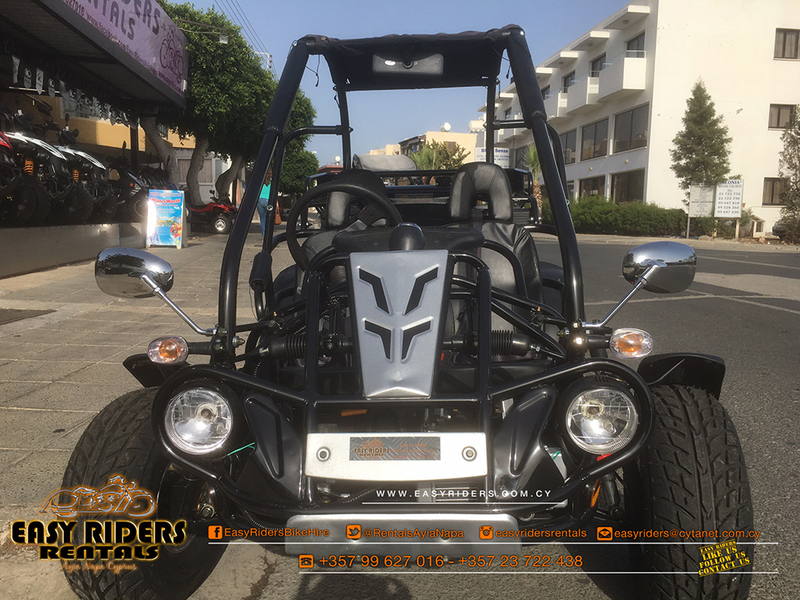 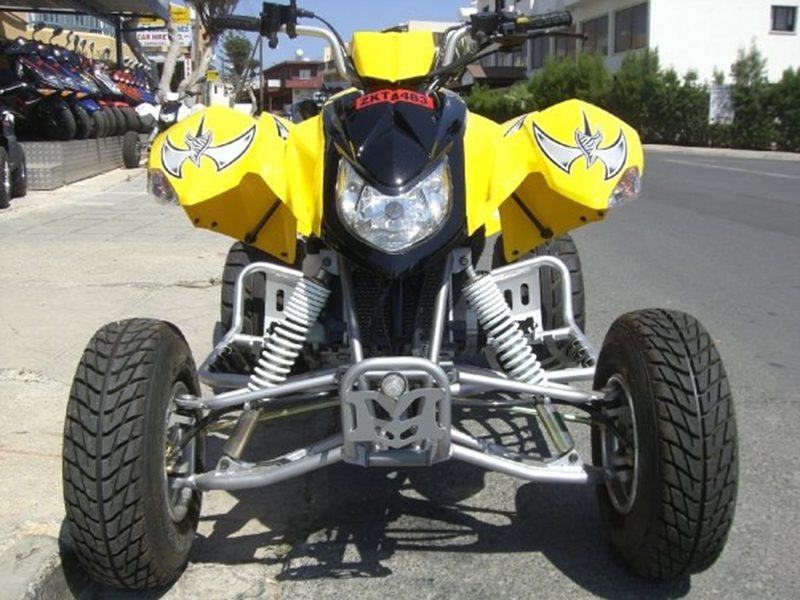 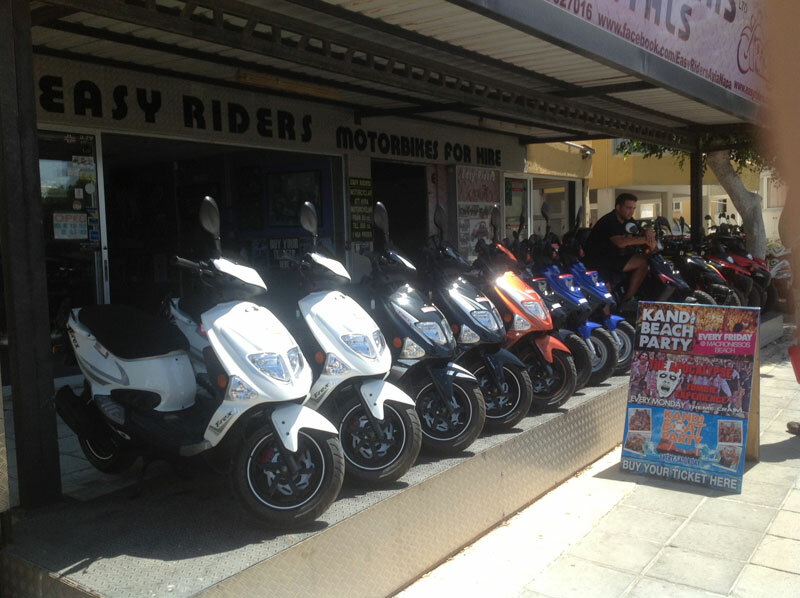 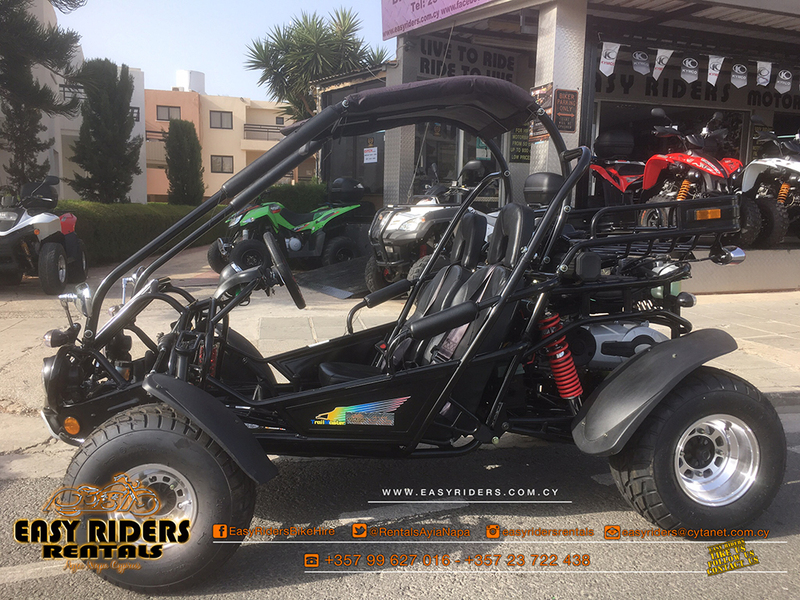 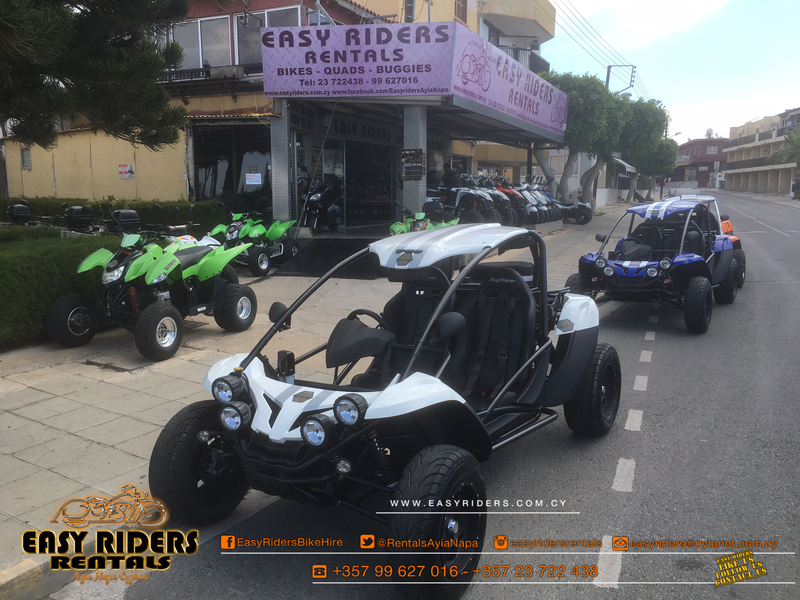 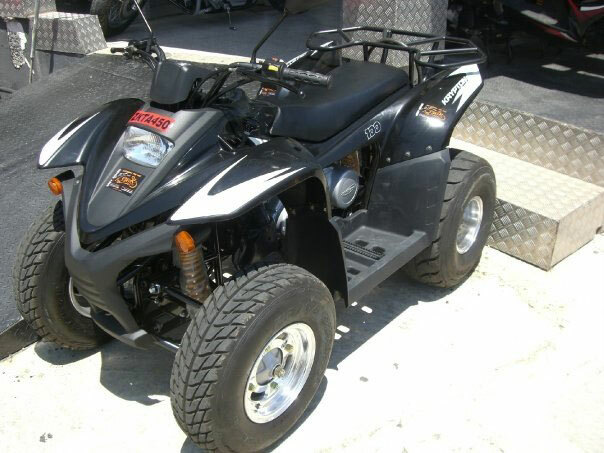 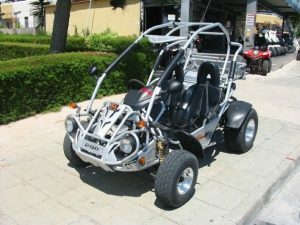 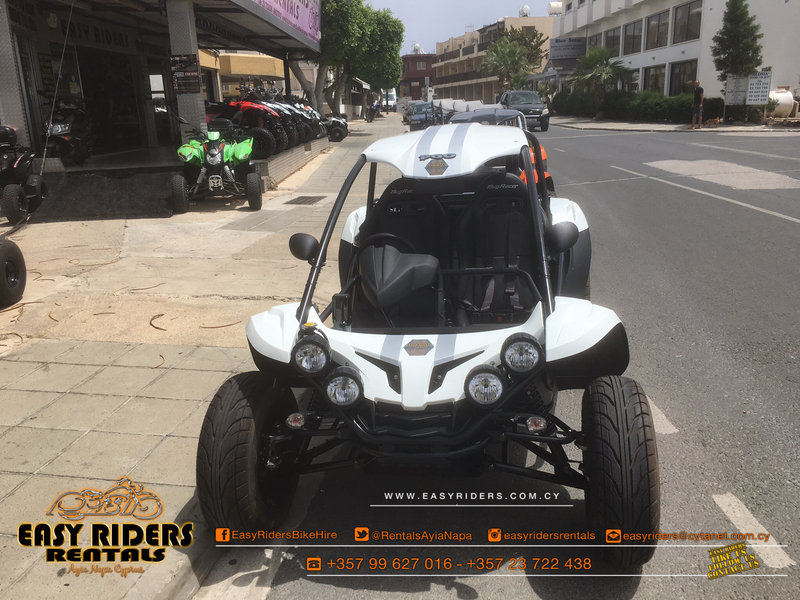 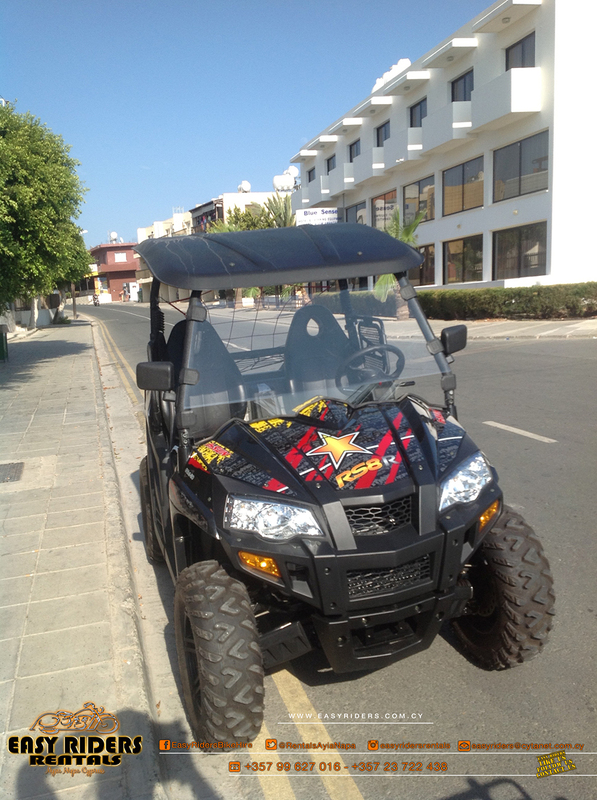 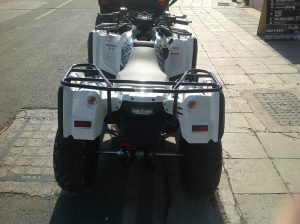 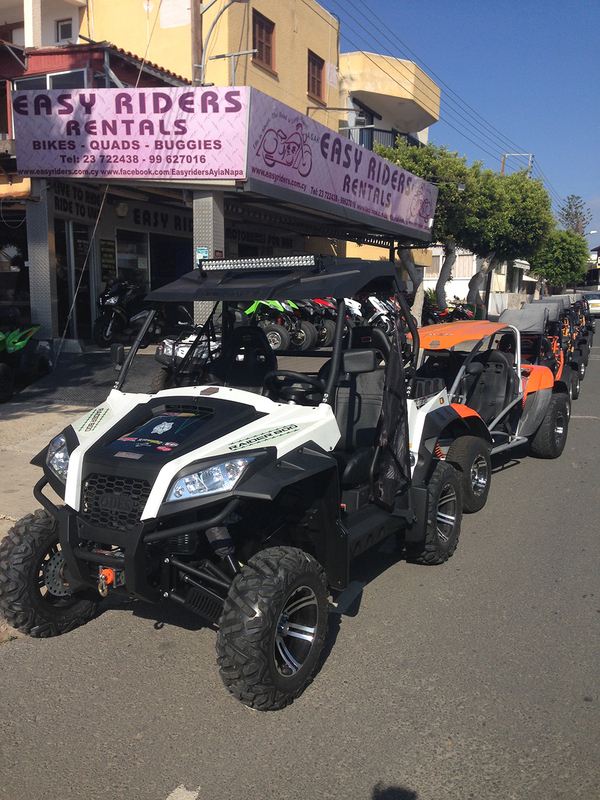 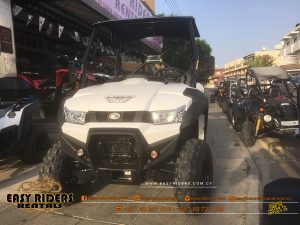 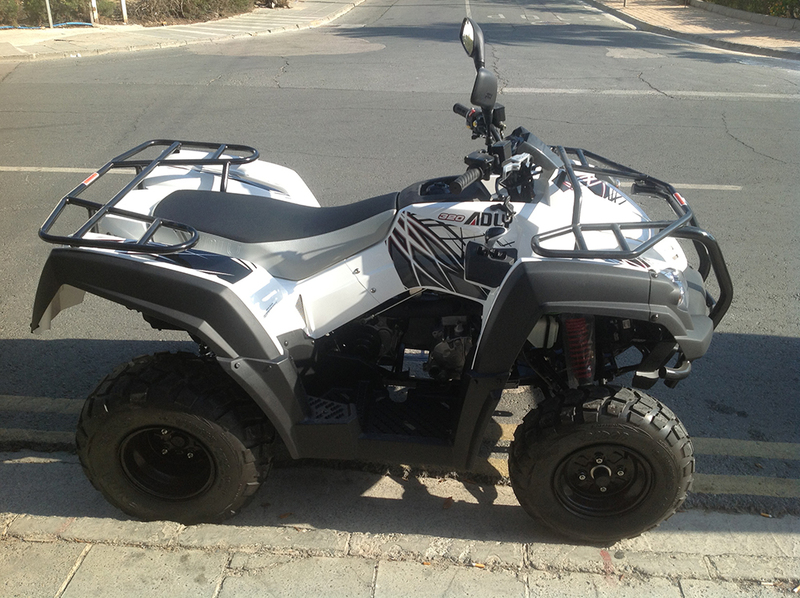 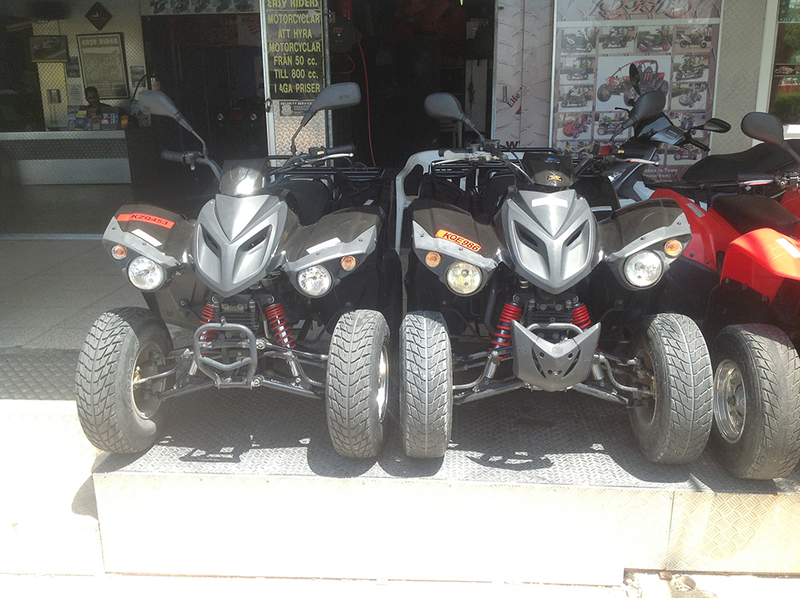 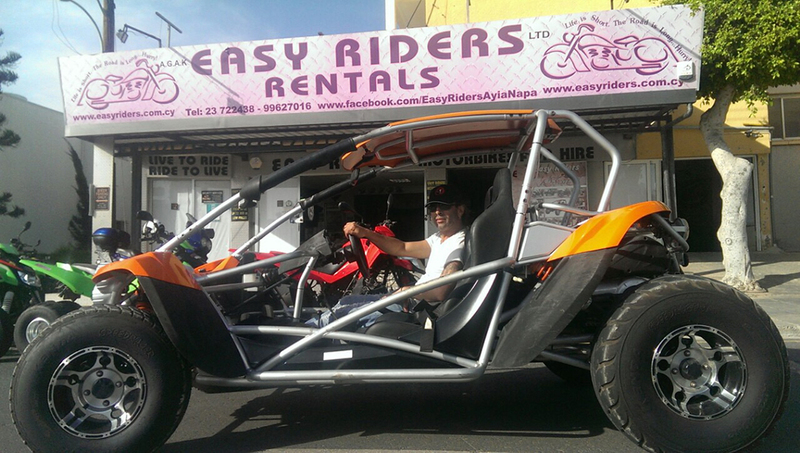 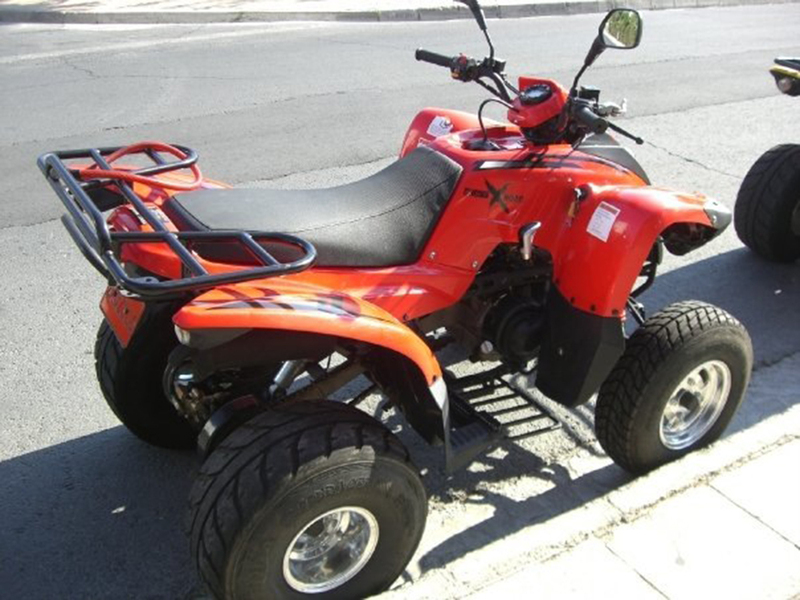 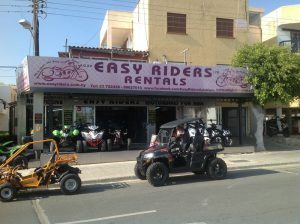 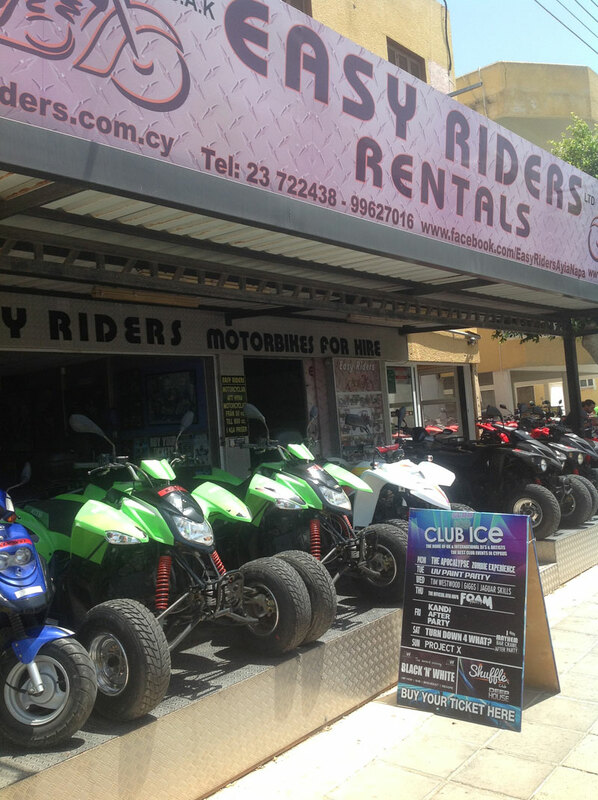 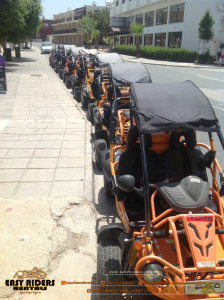 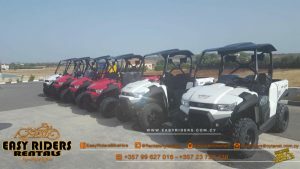 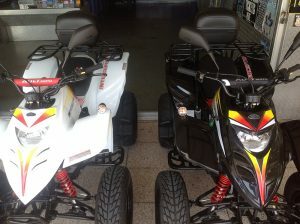 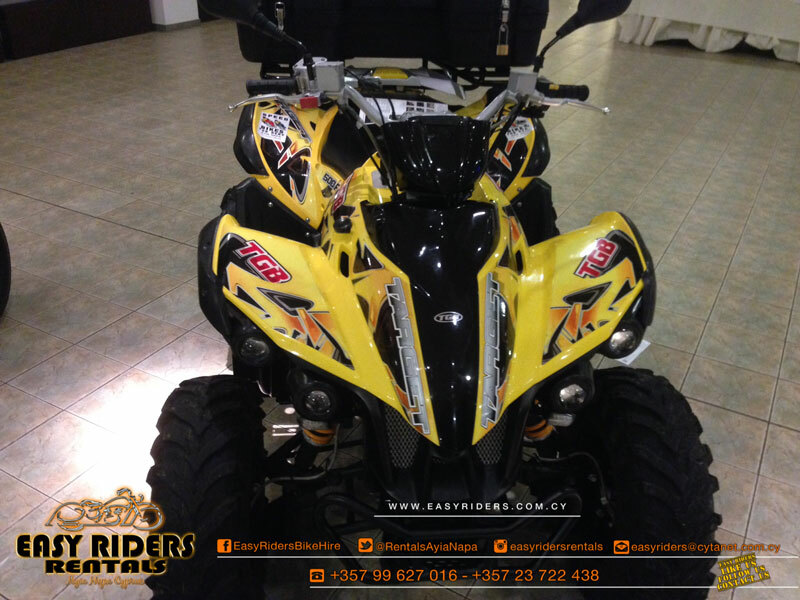 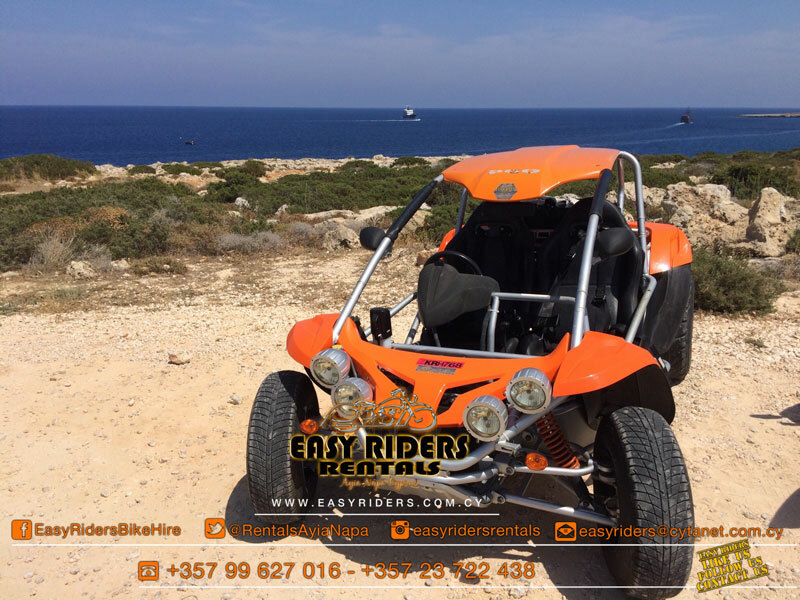 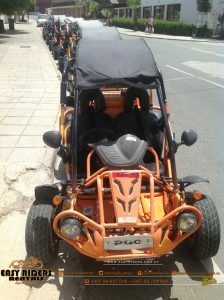 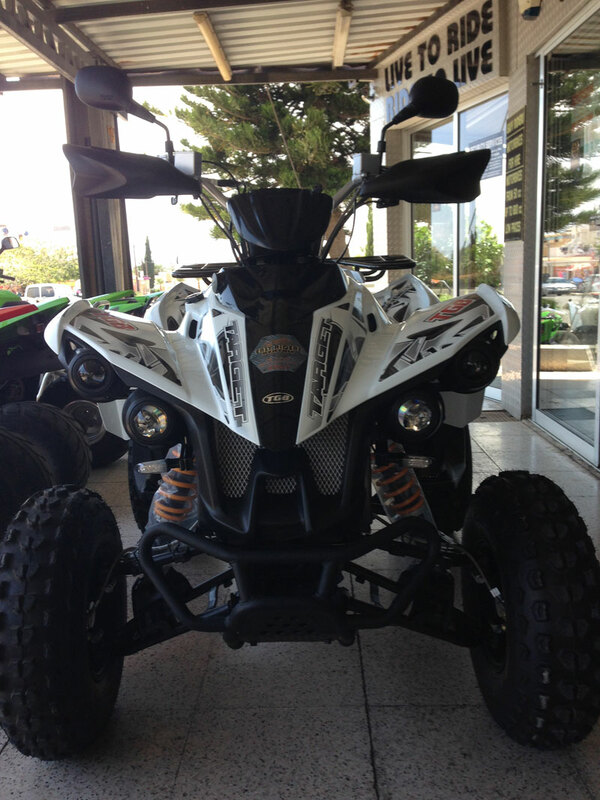 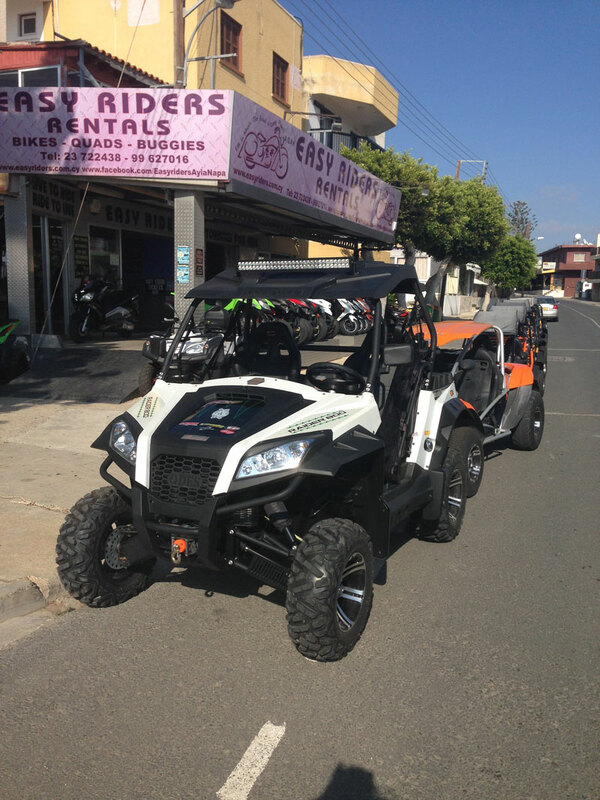 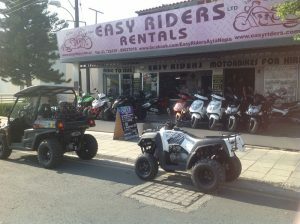 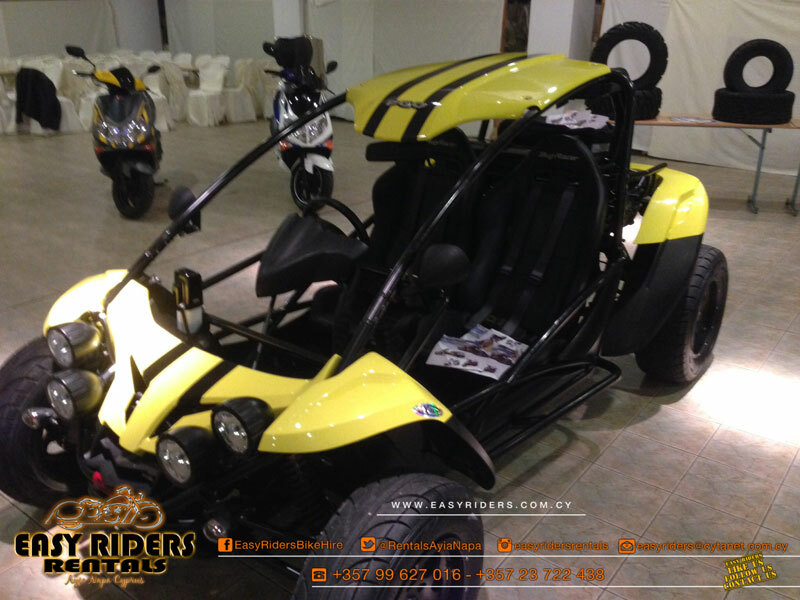 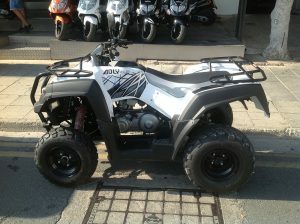 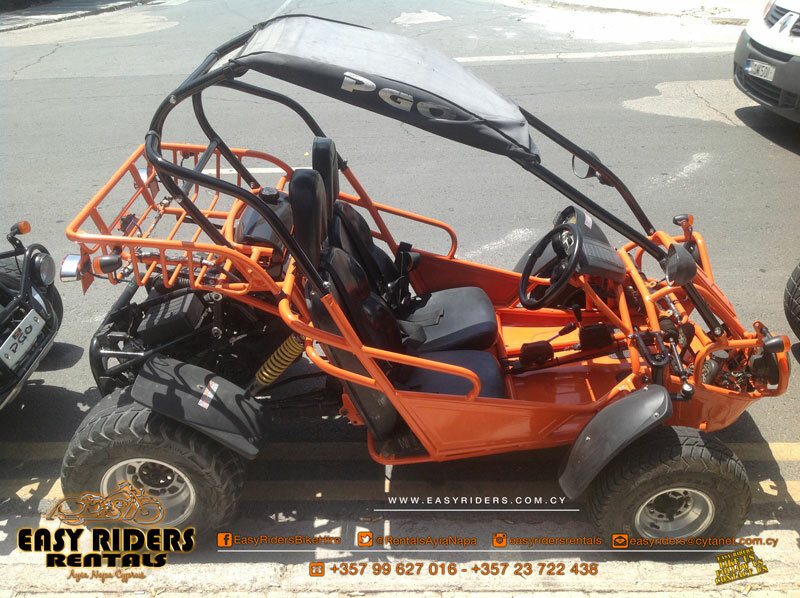 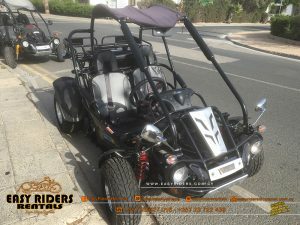 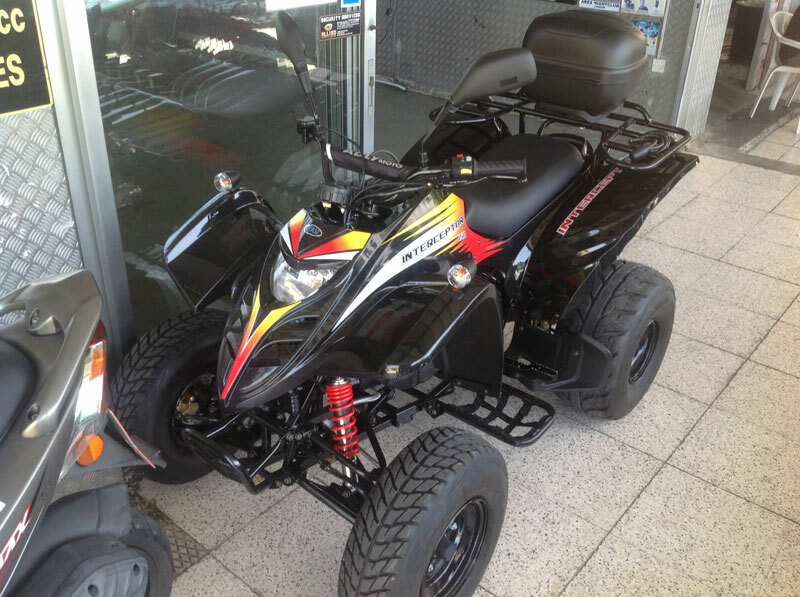 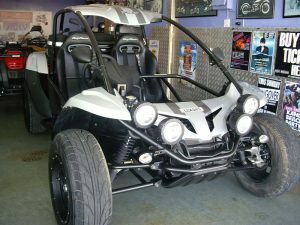 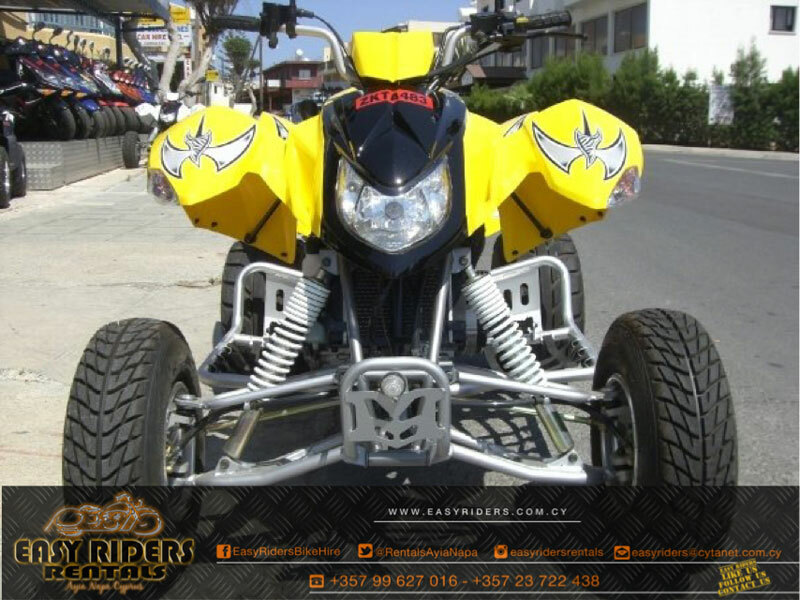 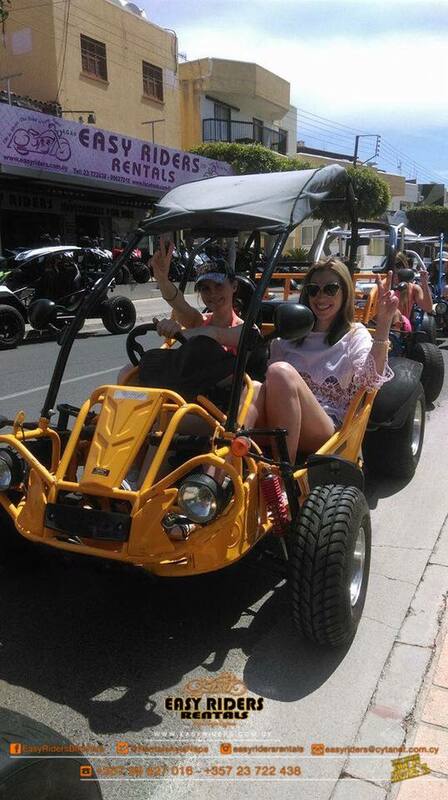 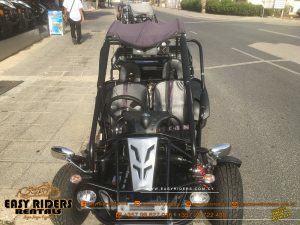 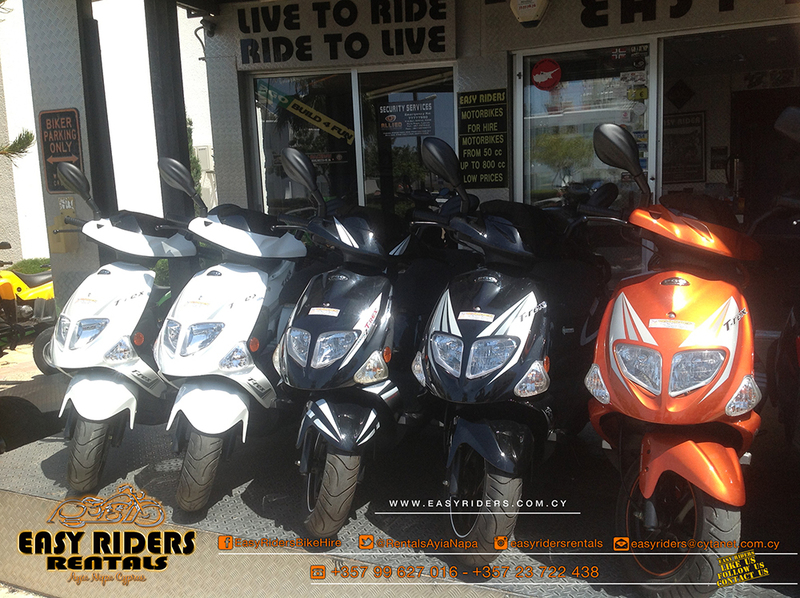 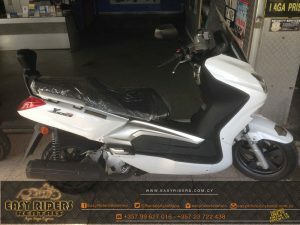 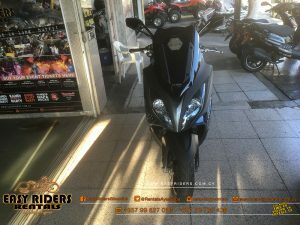 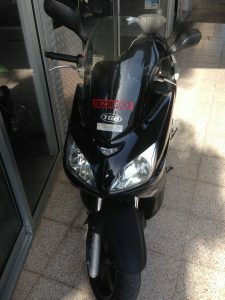 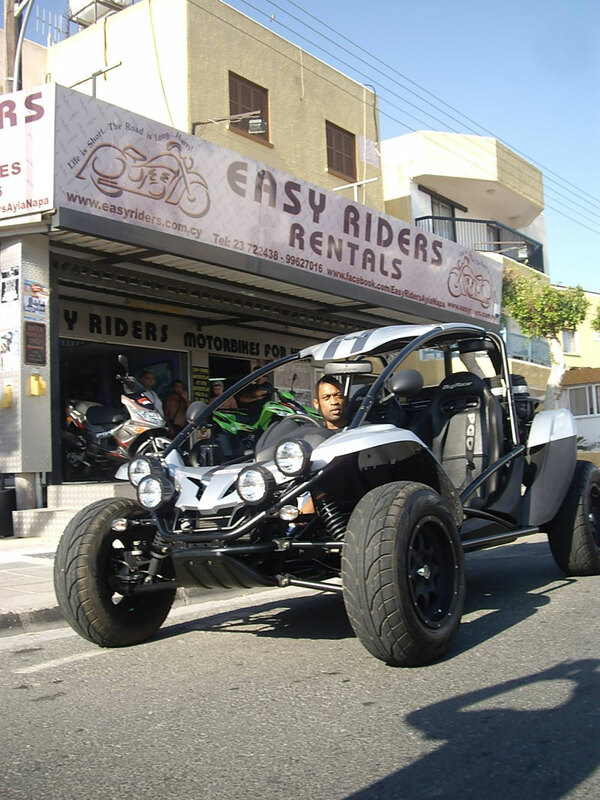 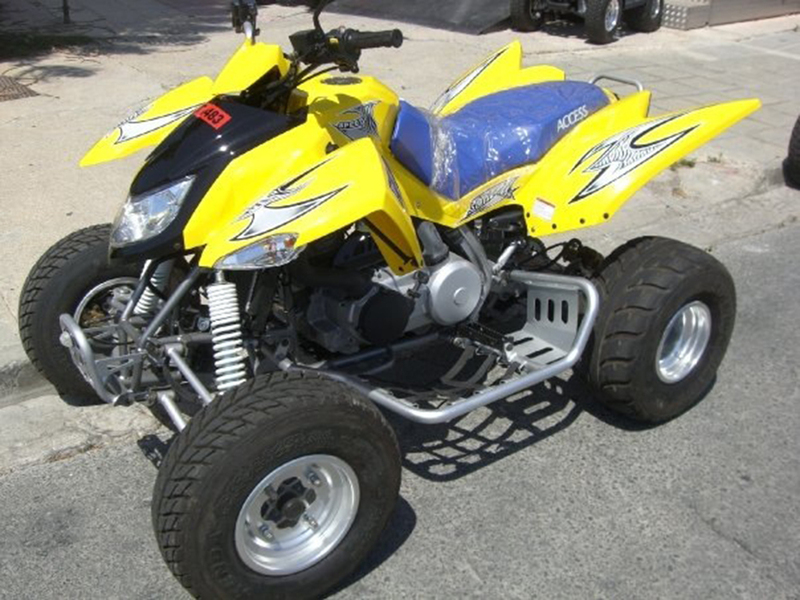 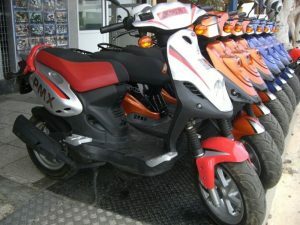 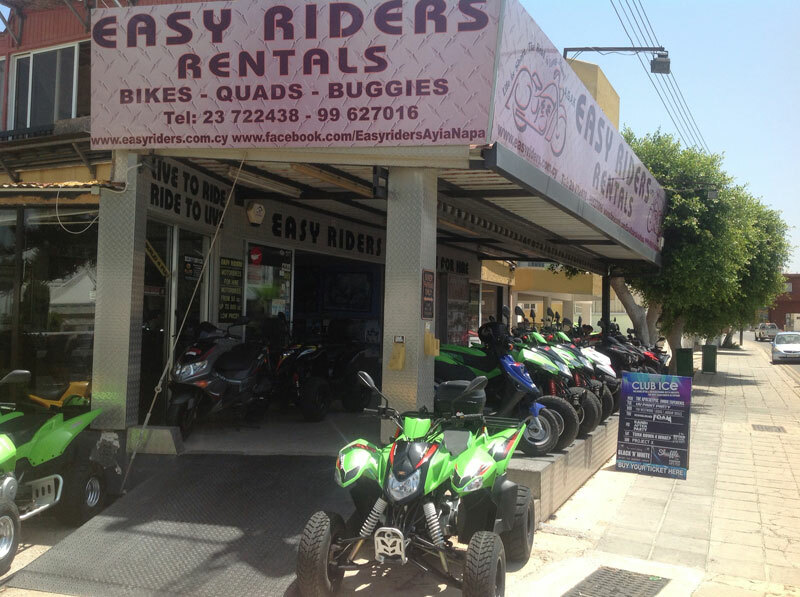 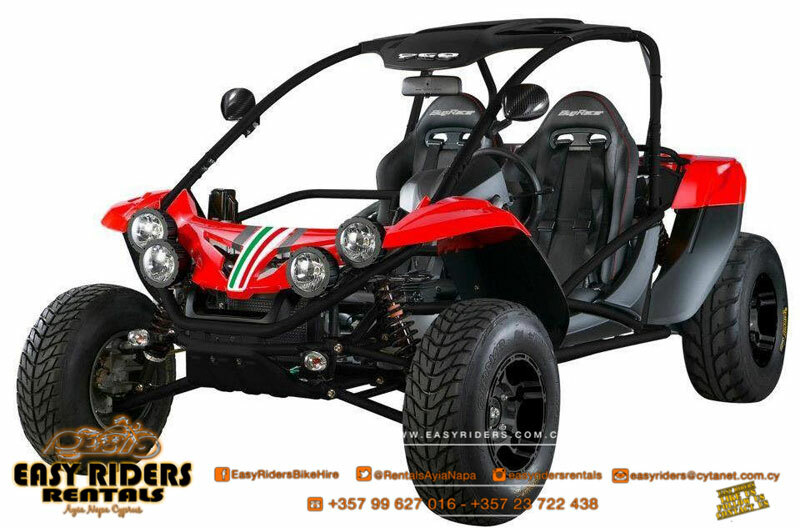 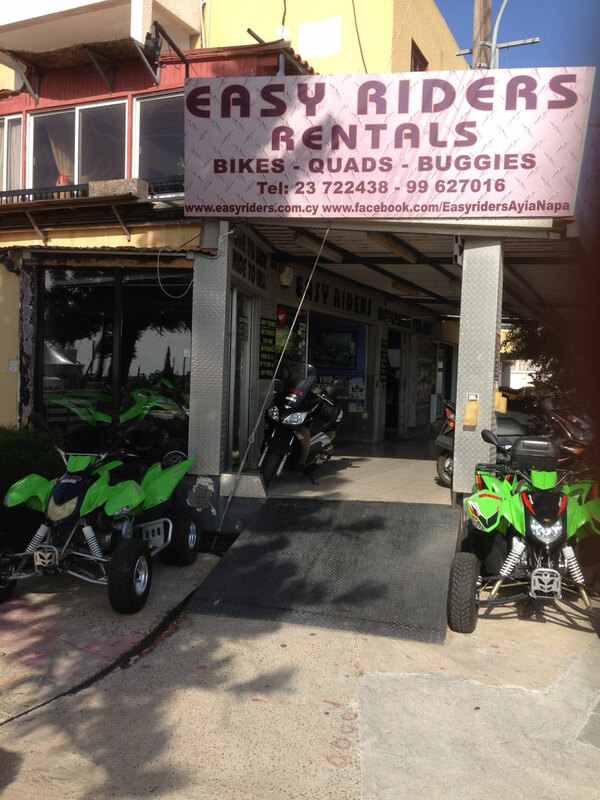 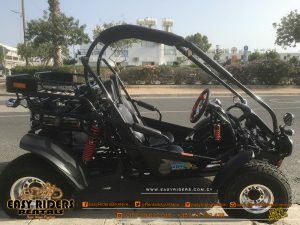 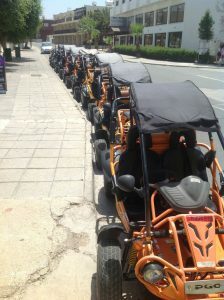 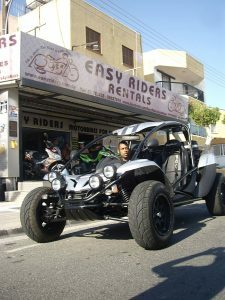 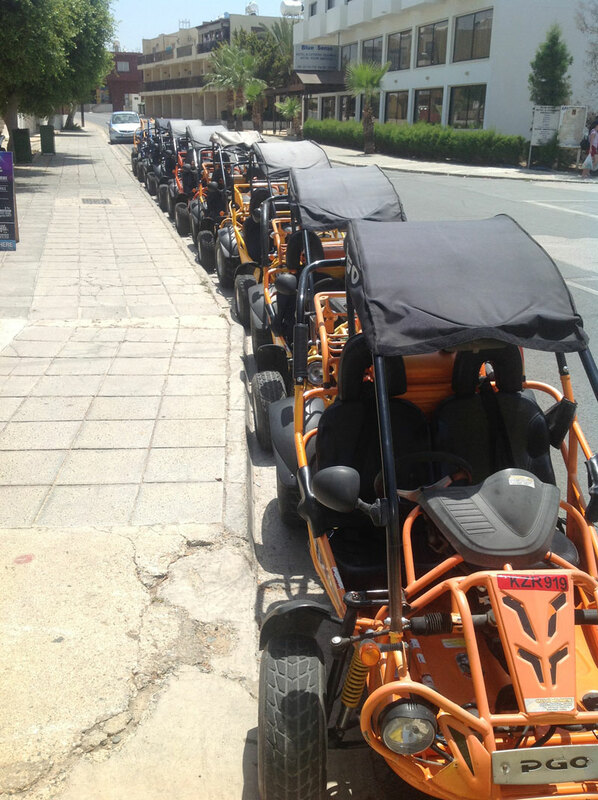 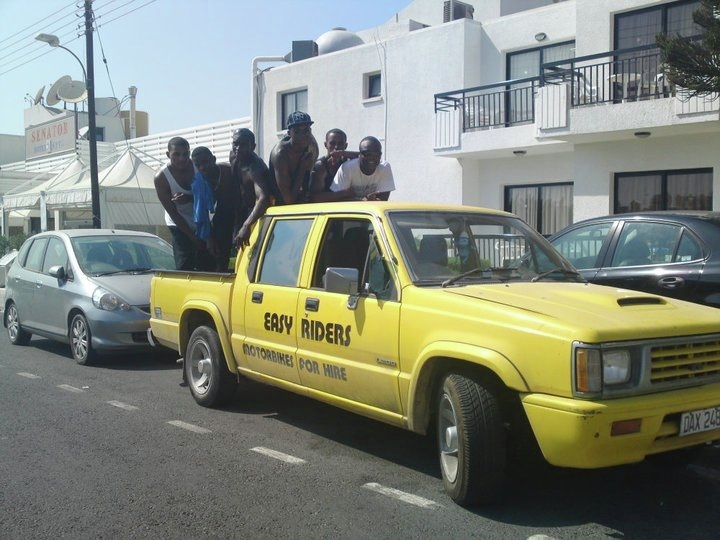 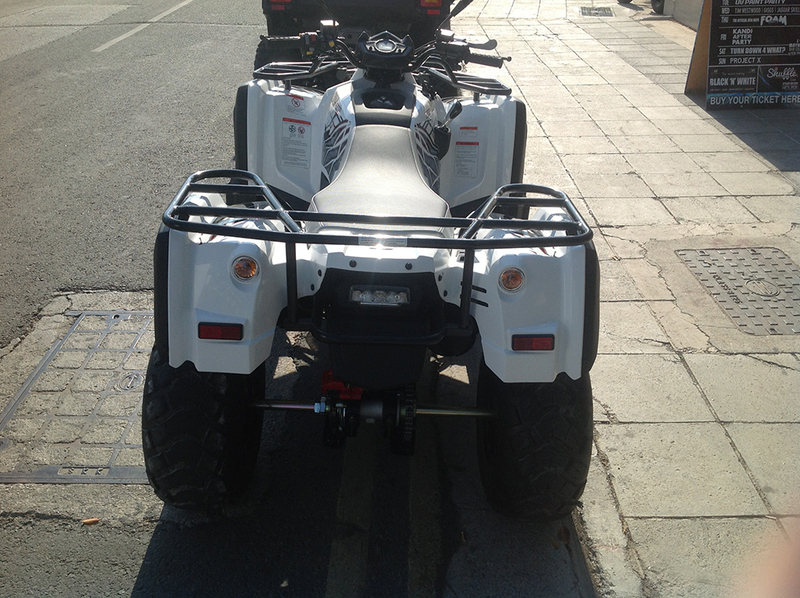 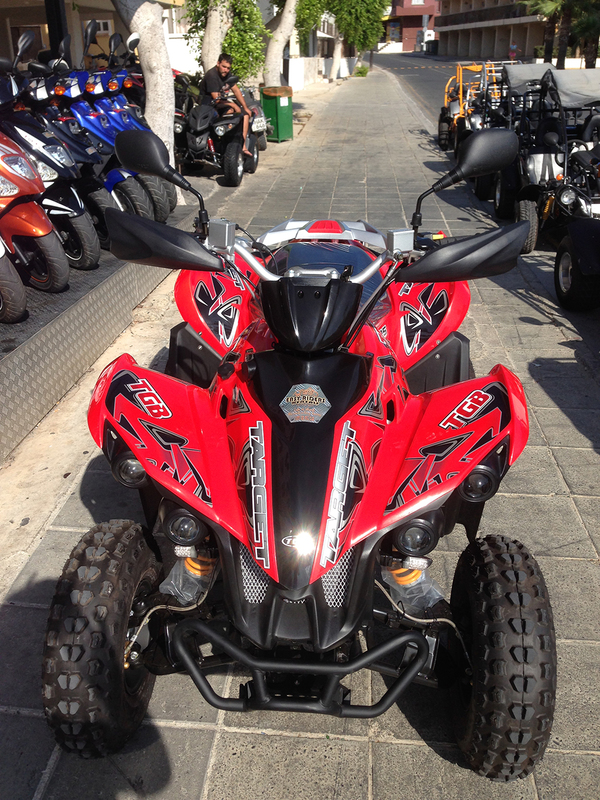 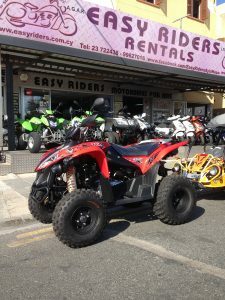 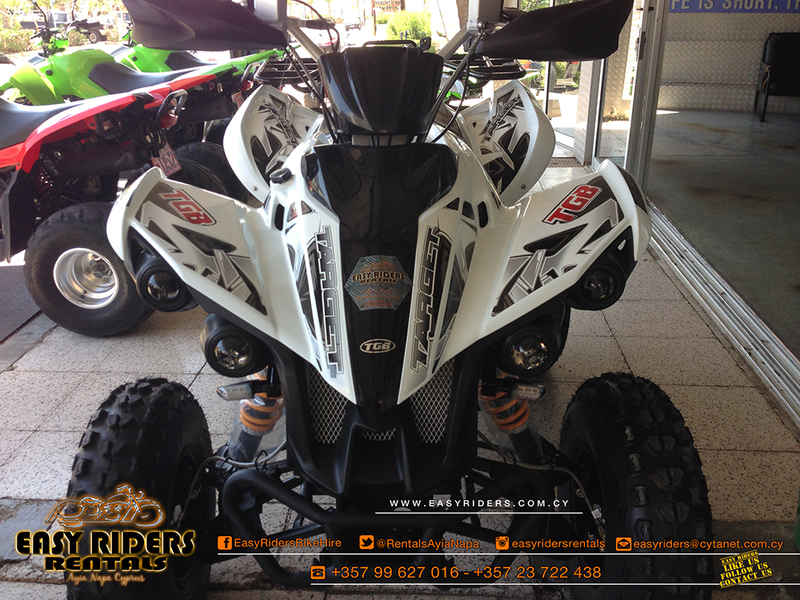 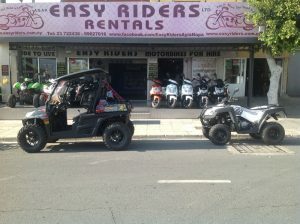 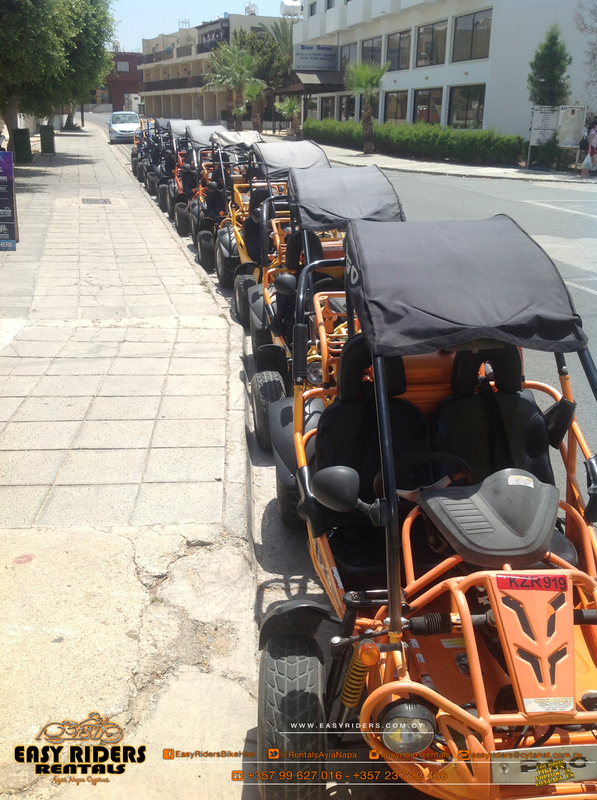 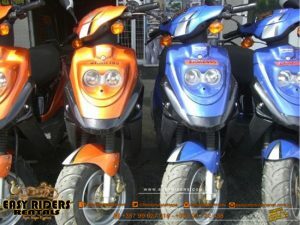 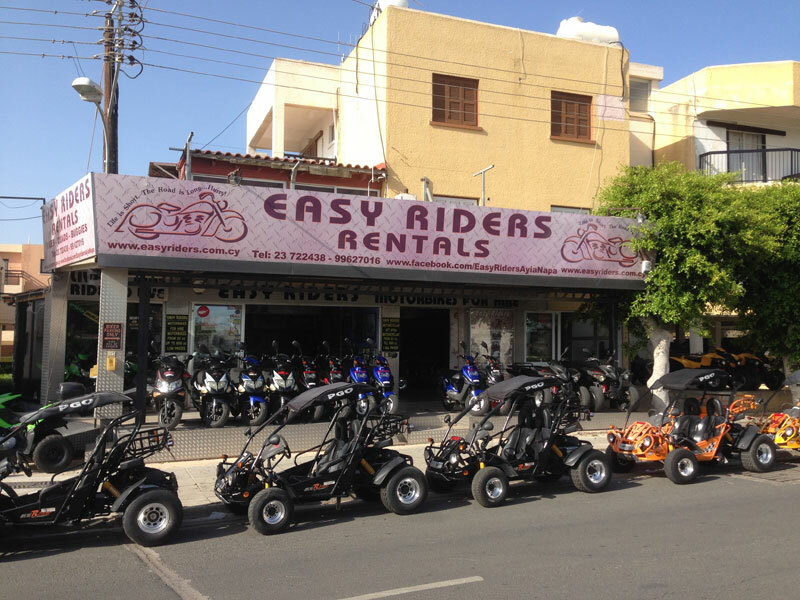 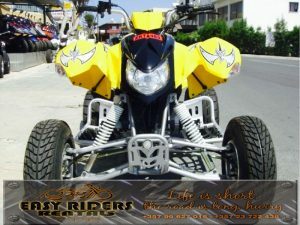 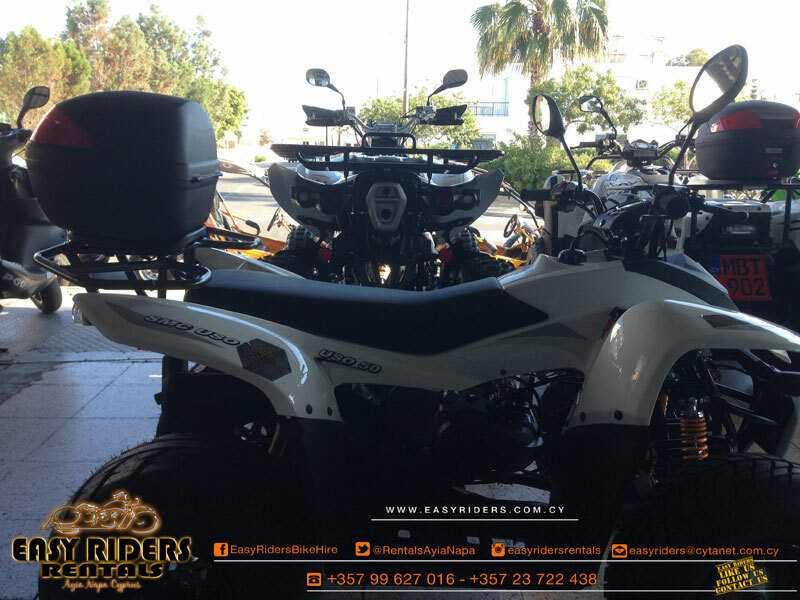 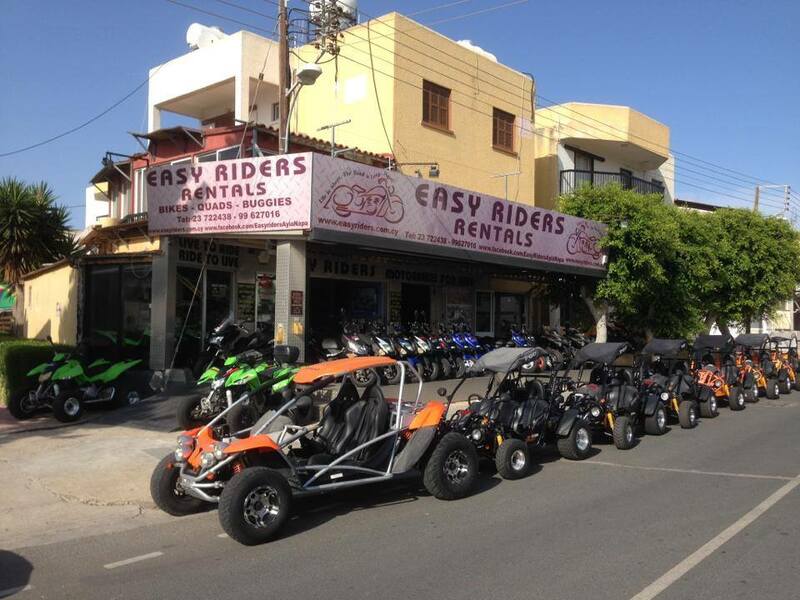 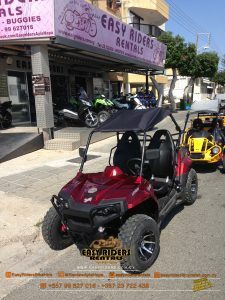 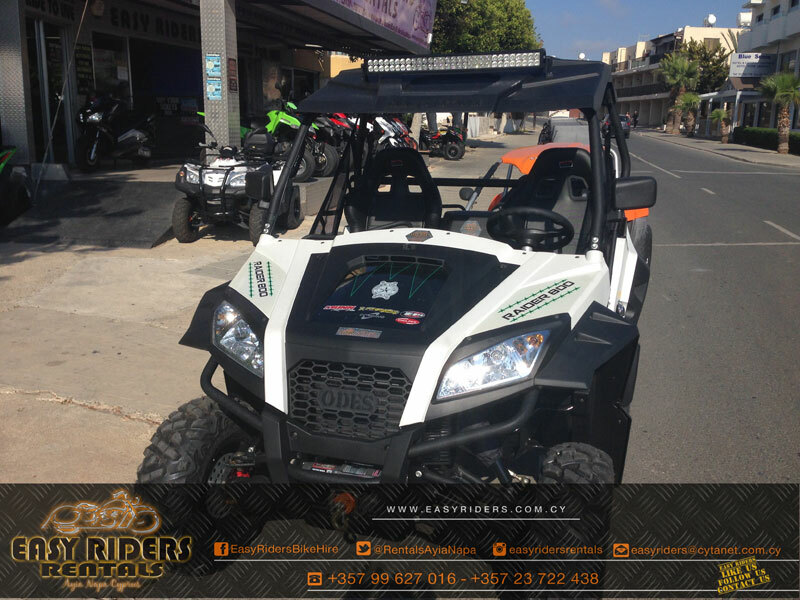 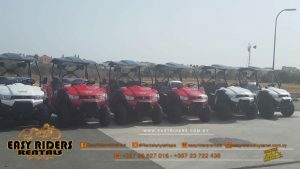 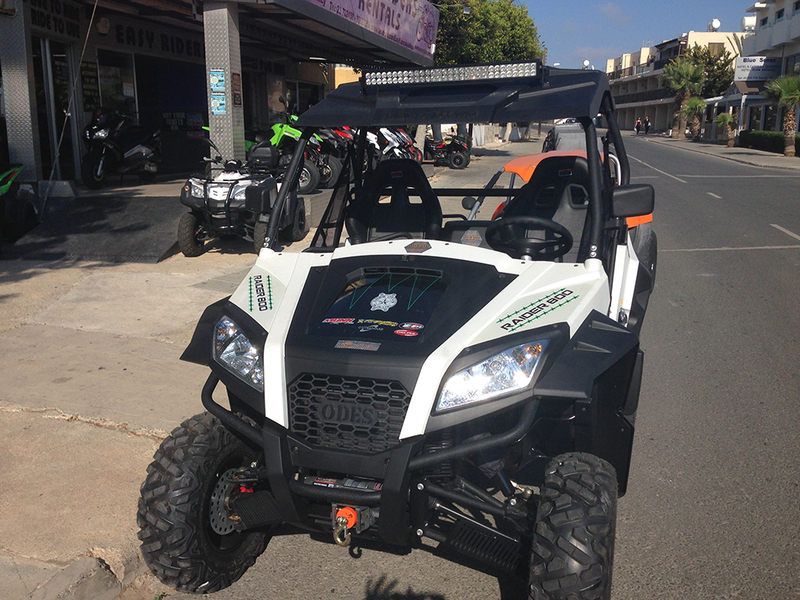 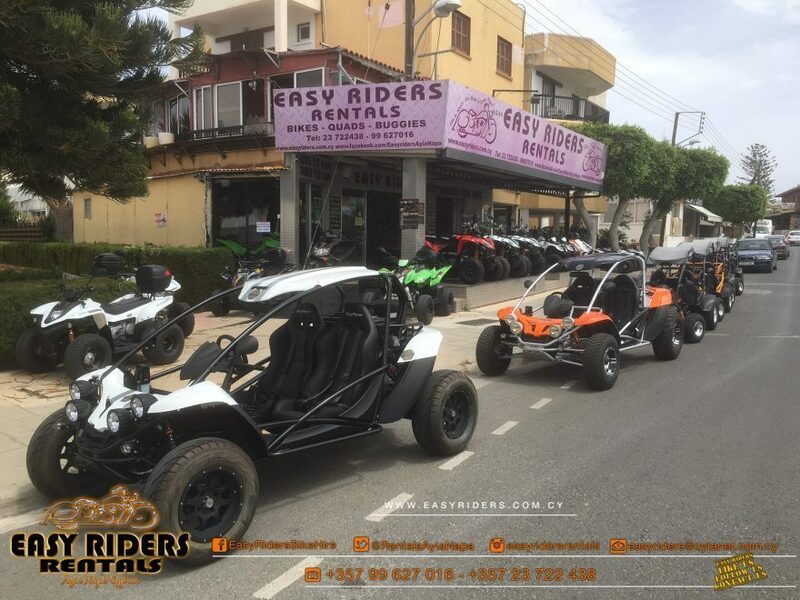 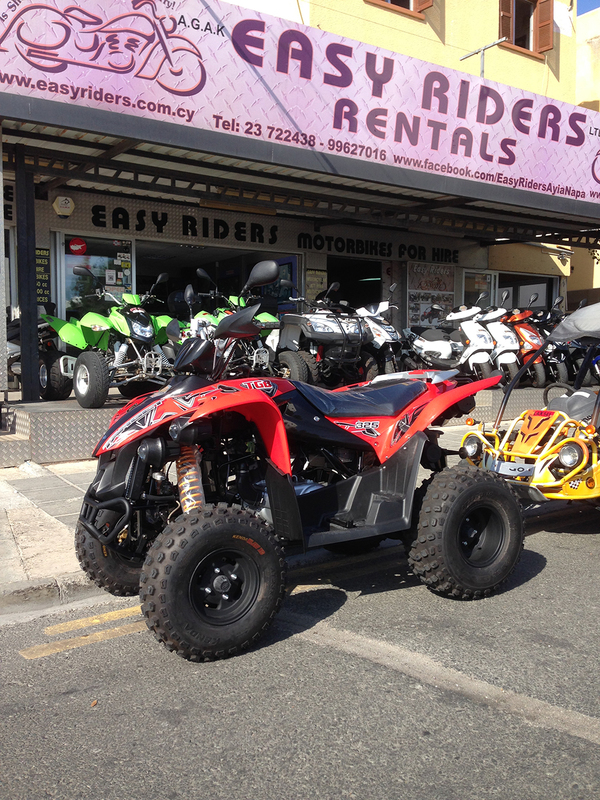 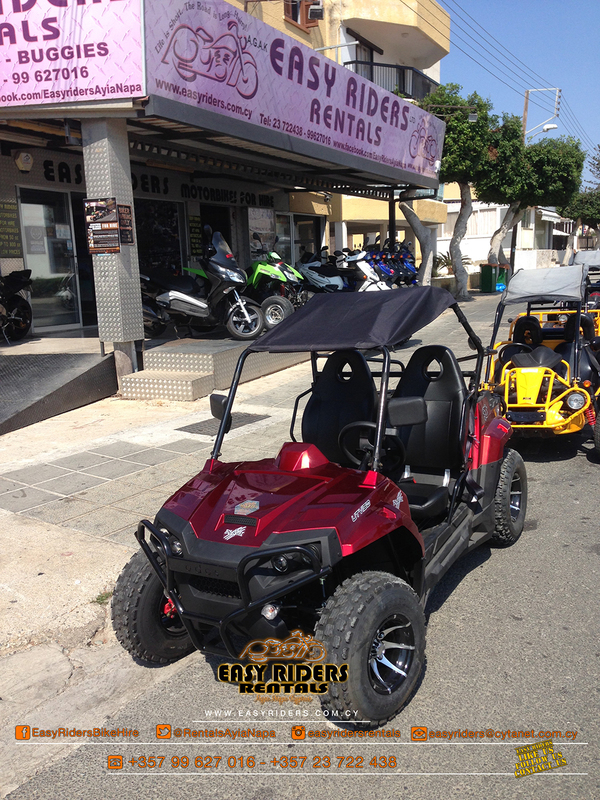 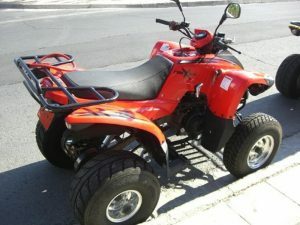 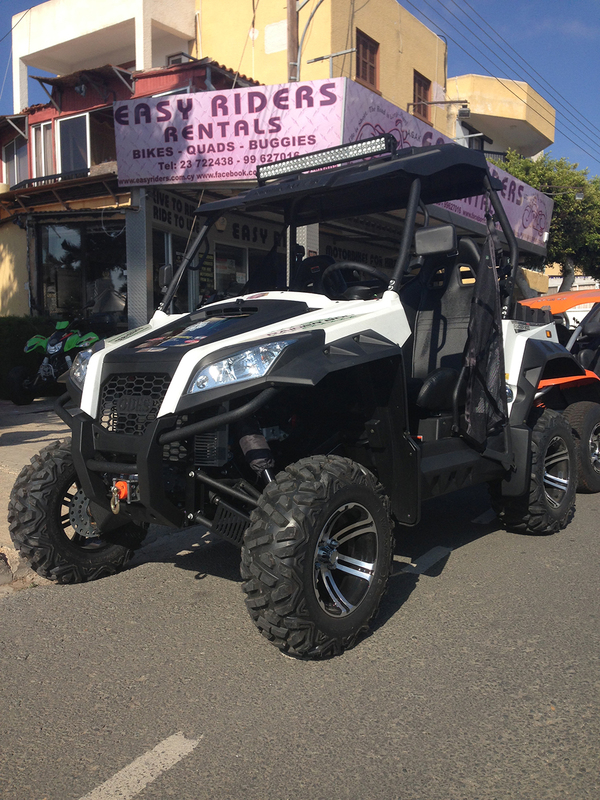 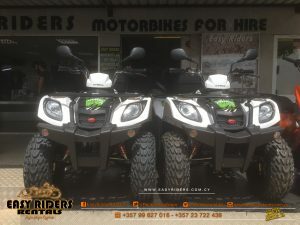 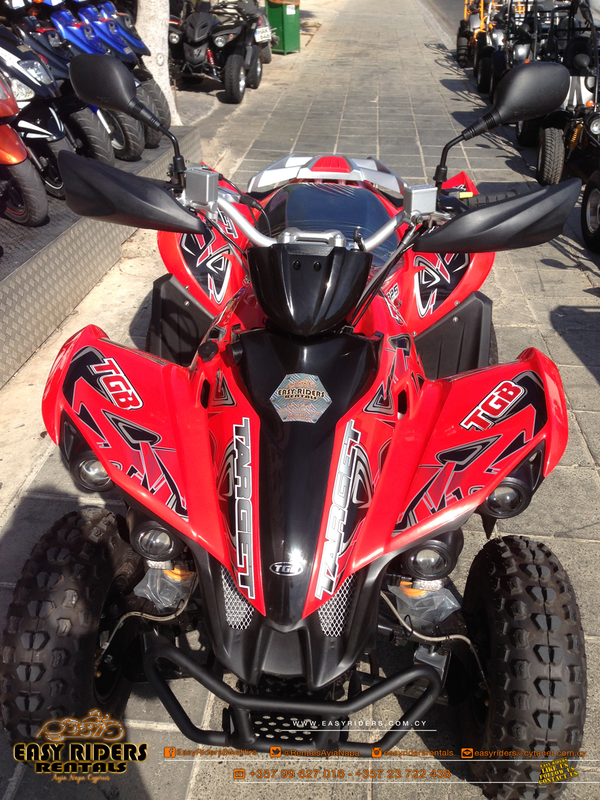 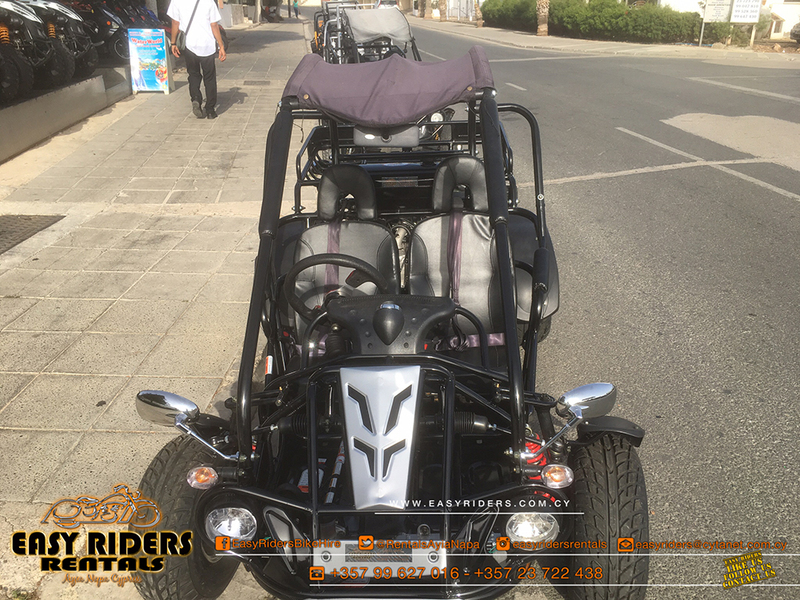 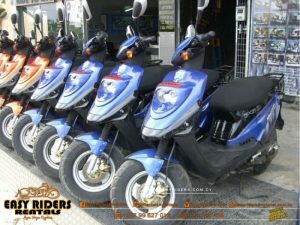 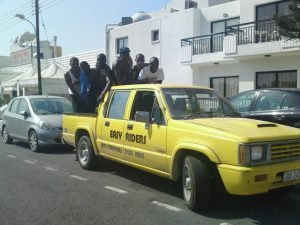 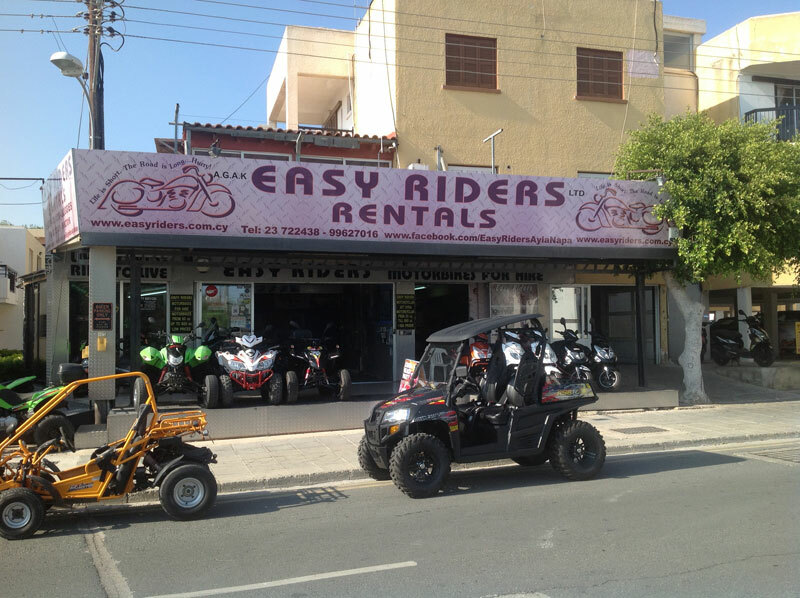 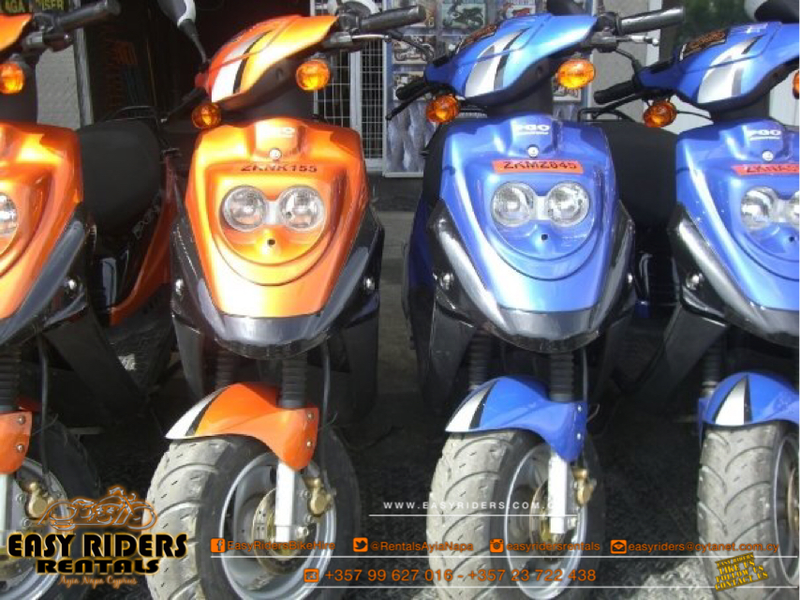 Easy Riders Rentals is a company engaged in the rental and sale of transport in Cyprus. 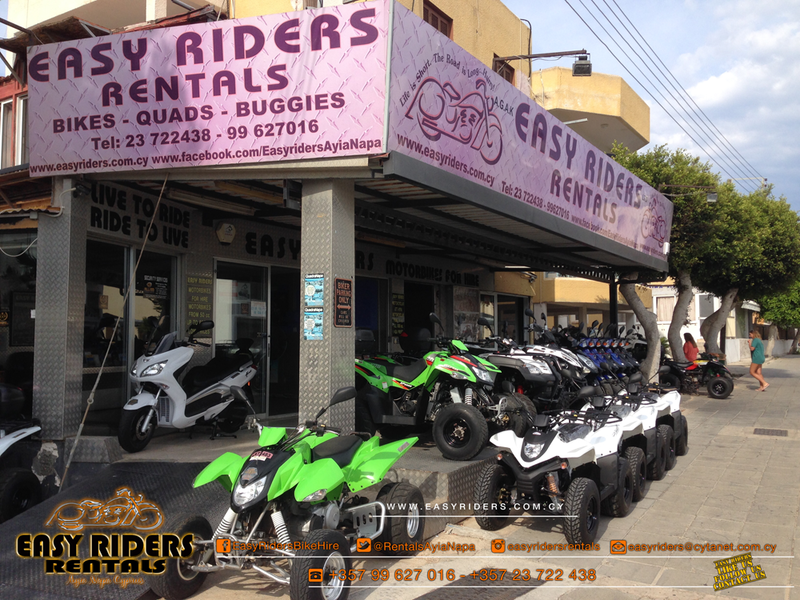 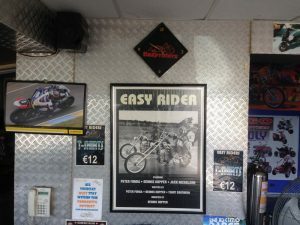 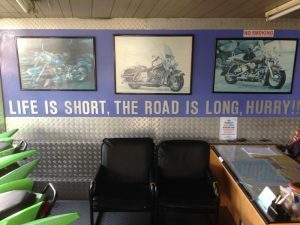 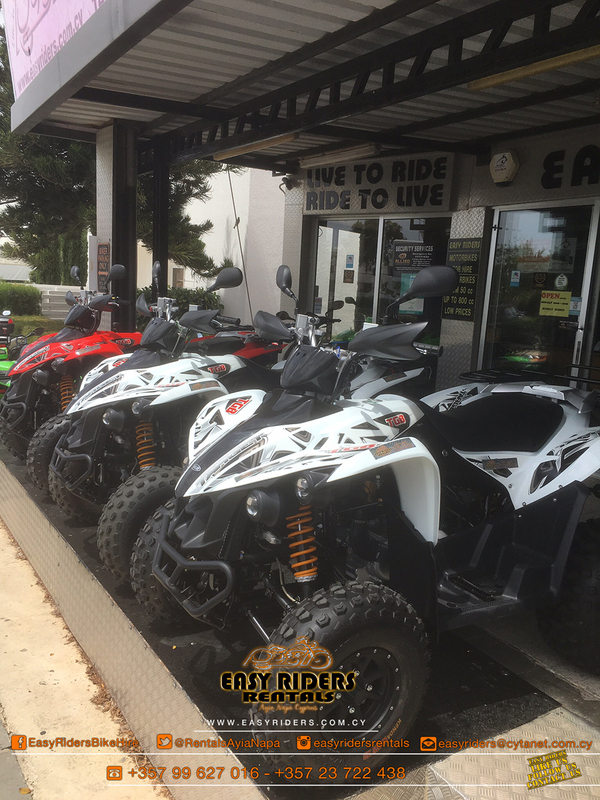 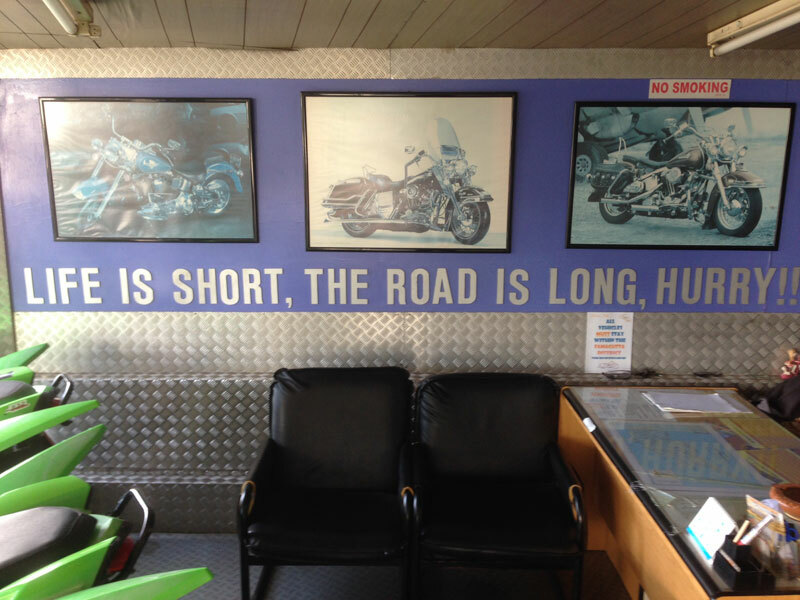 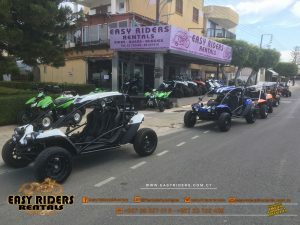 At Easy Riders you will find motorbikes, scooters, mopeds, quad bikes and buggies and other types of transport for hire or sale. 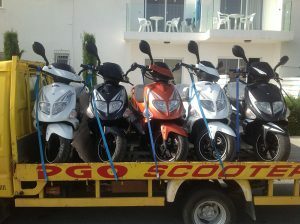 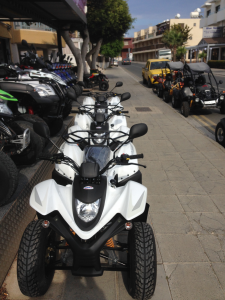 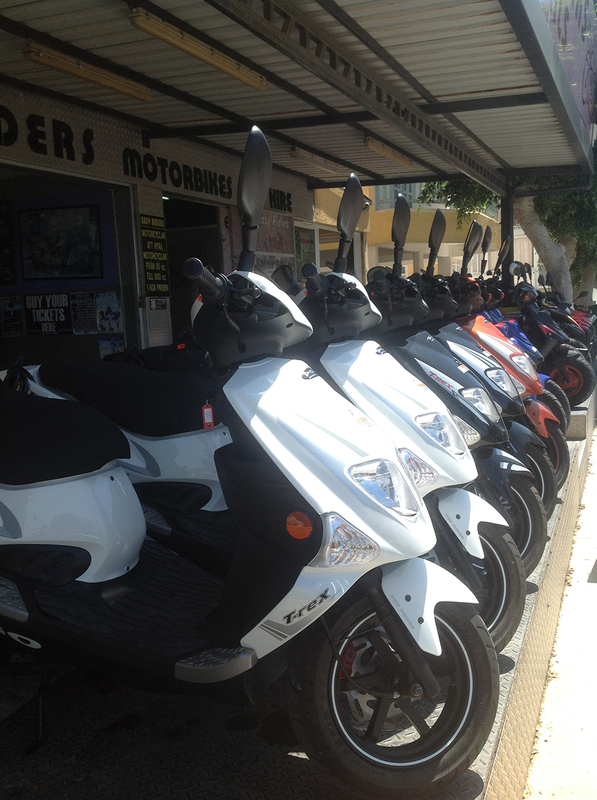 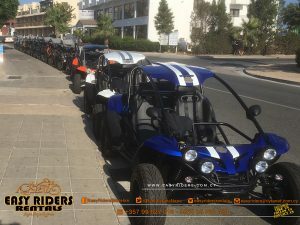 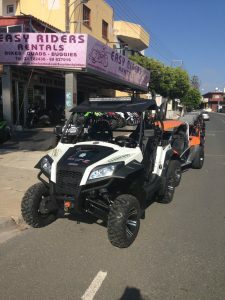 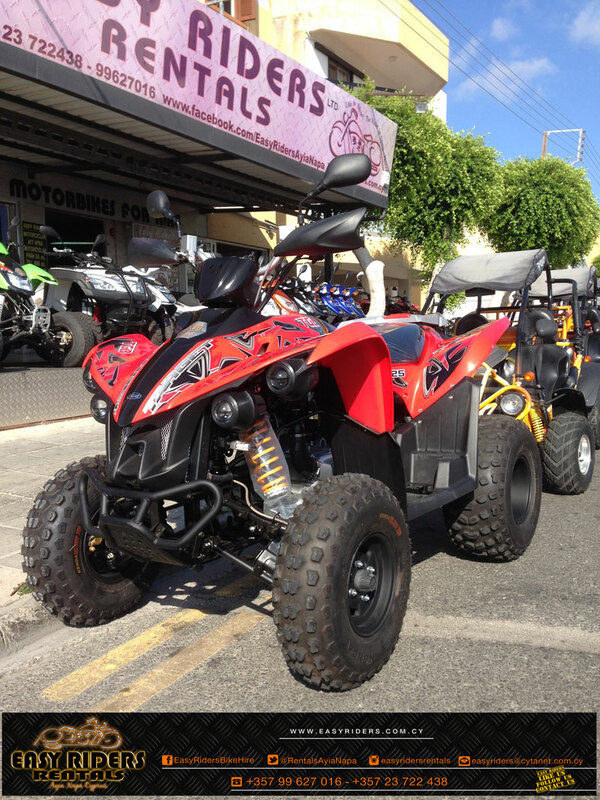 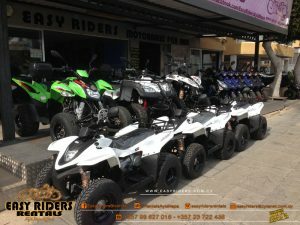 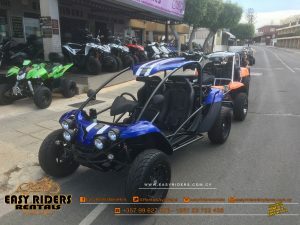 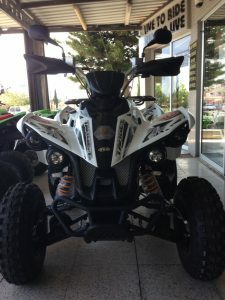 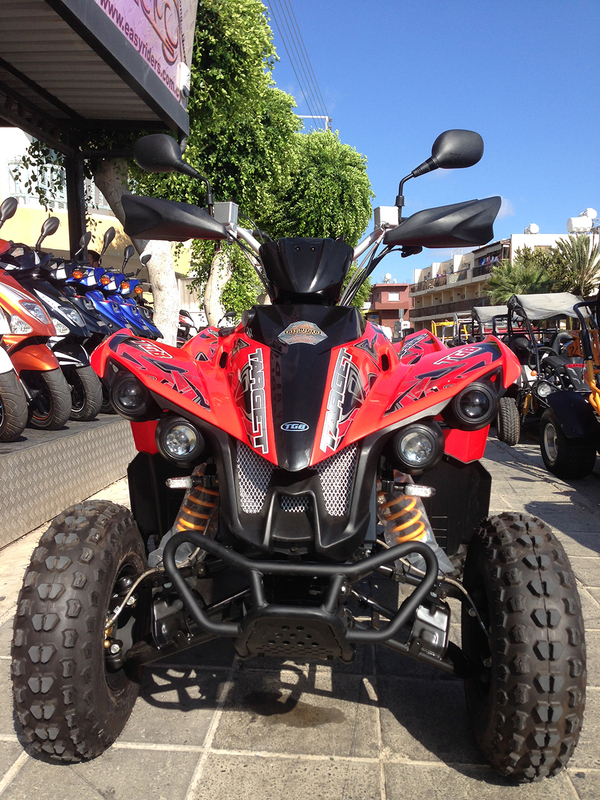 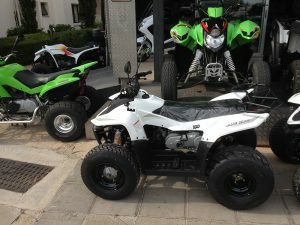 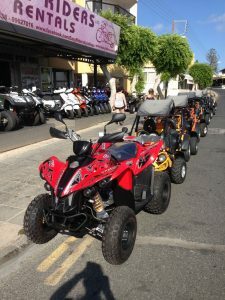 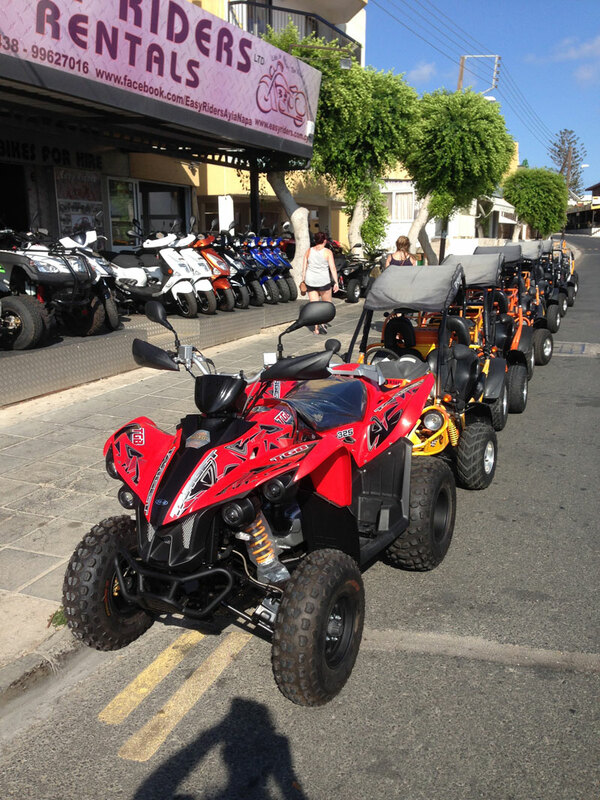 We offer 300 brand new bikes to choose from, scooters, quad bikes and buggies & mopeds for hire in Cyprus to meet any requirements. Our employees are committed to their profession, and aim to provide the best service to our customers. 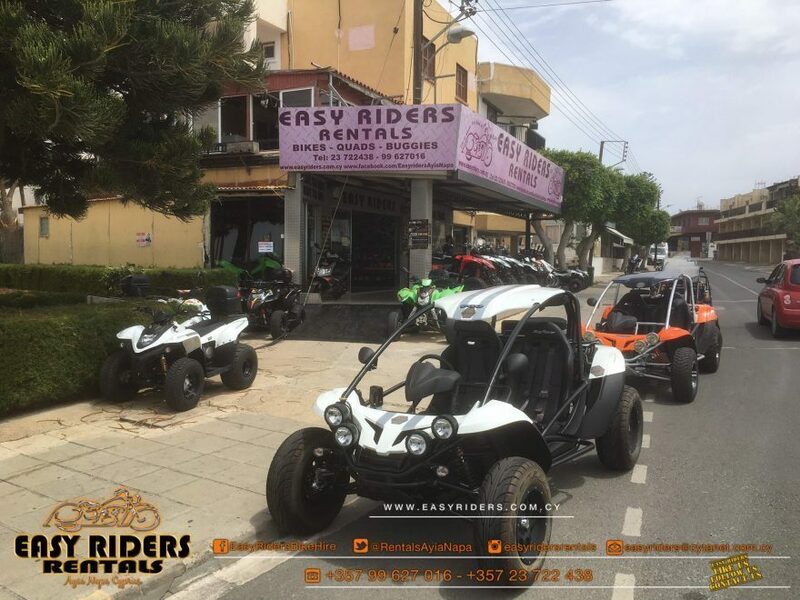 Now Easy Riders Rental Company is recommended by the largest travel magazines, web-sites and applications in Cyprus as the only reliable rental company for transport in Cyprus. 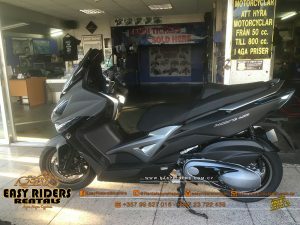 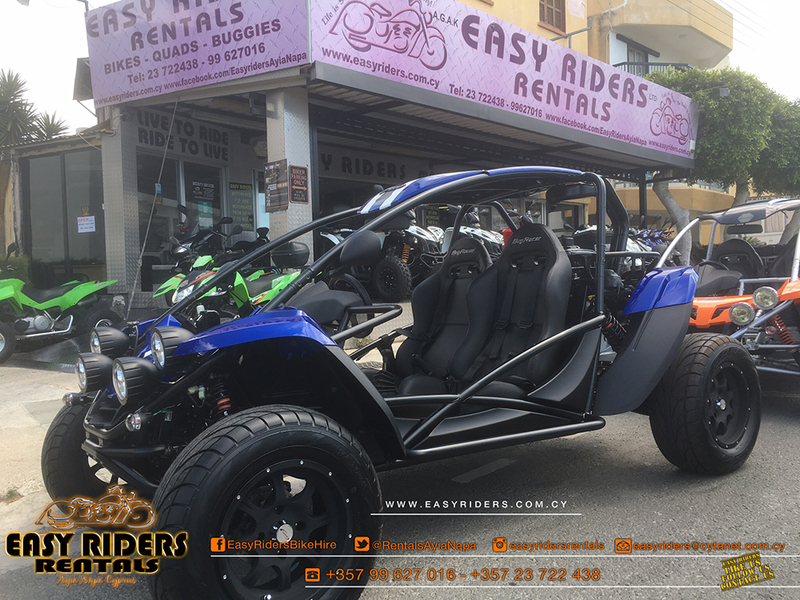 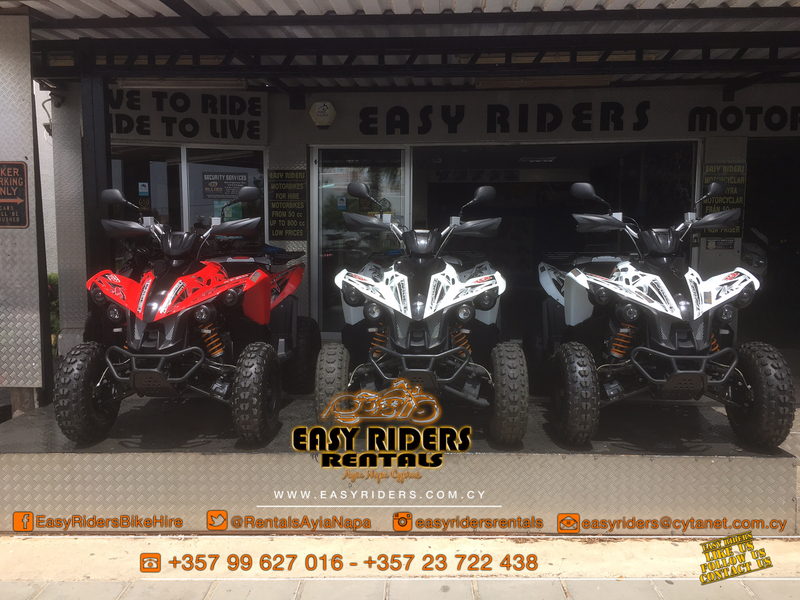 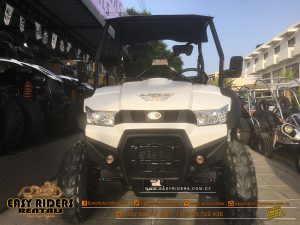 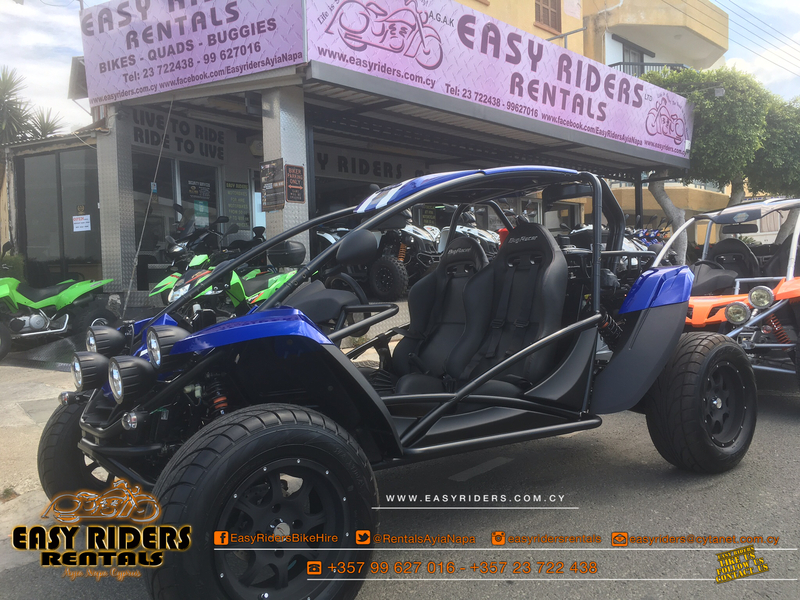 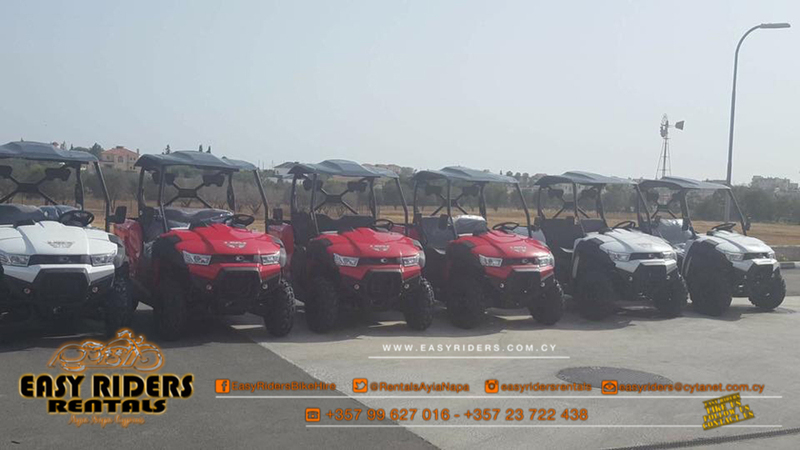 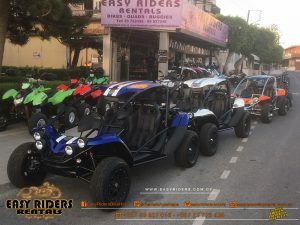 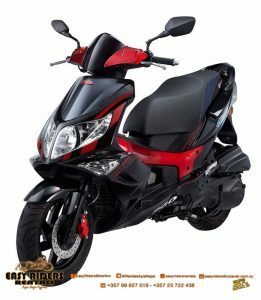 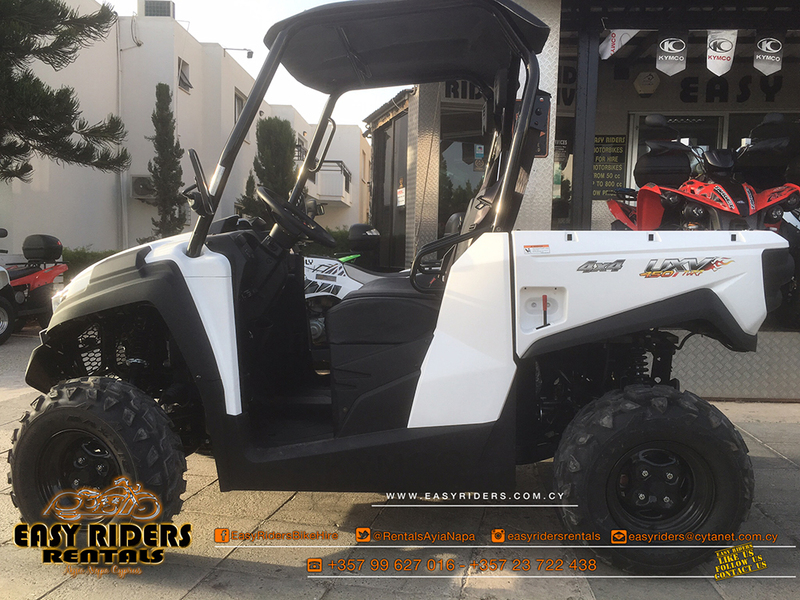 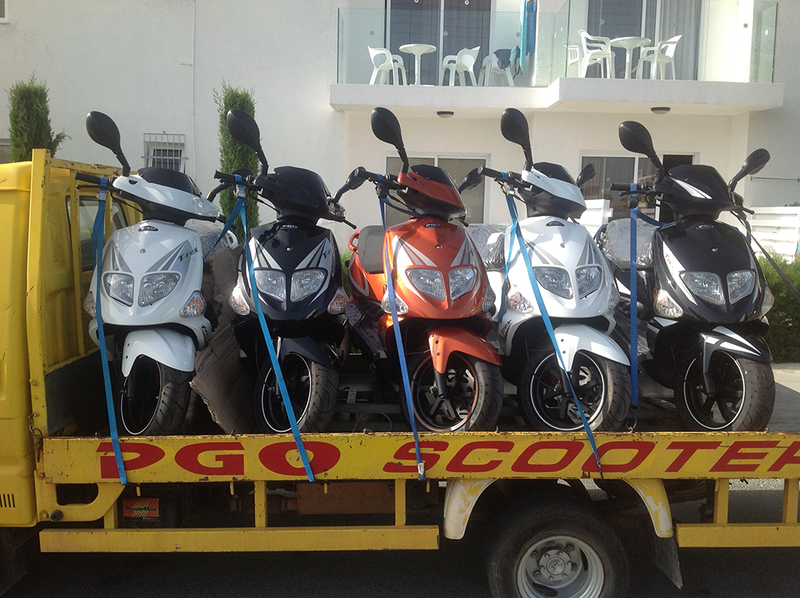 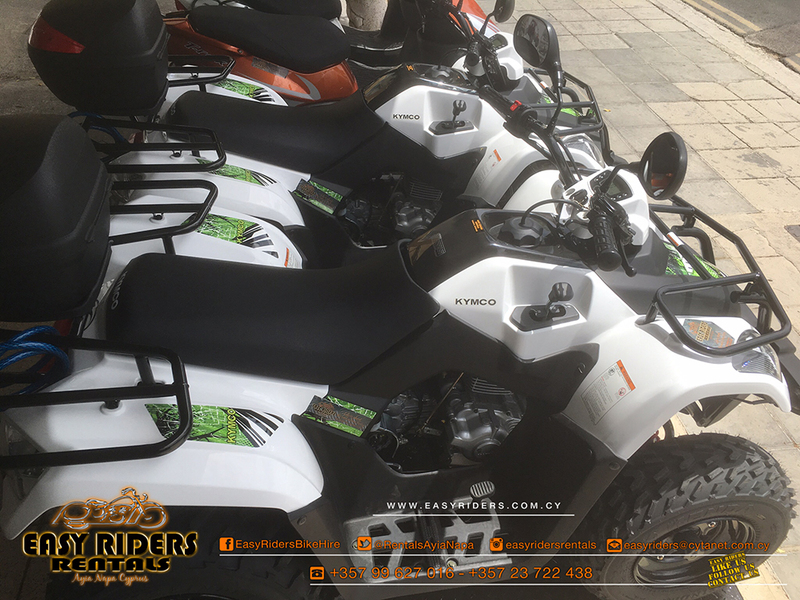 Easy Riders Rentals has all brand rights for KYMCO, PGO, ACCESS ADLY and therefore all the transport provided is imported directly by the company. 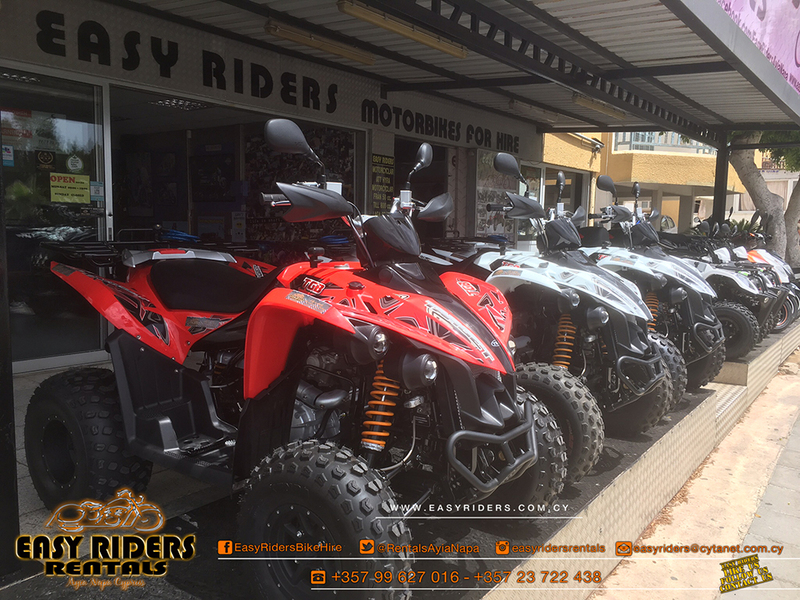 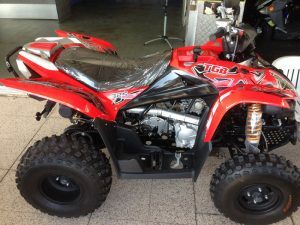 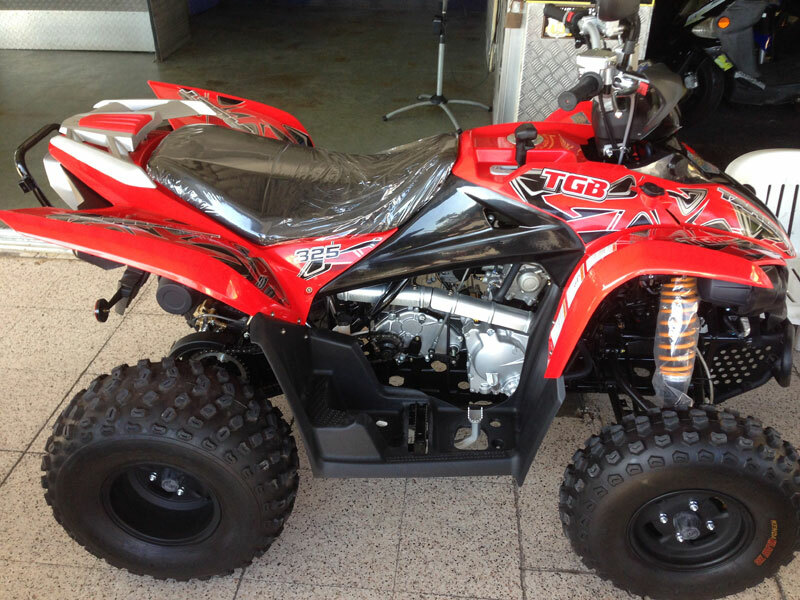 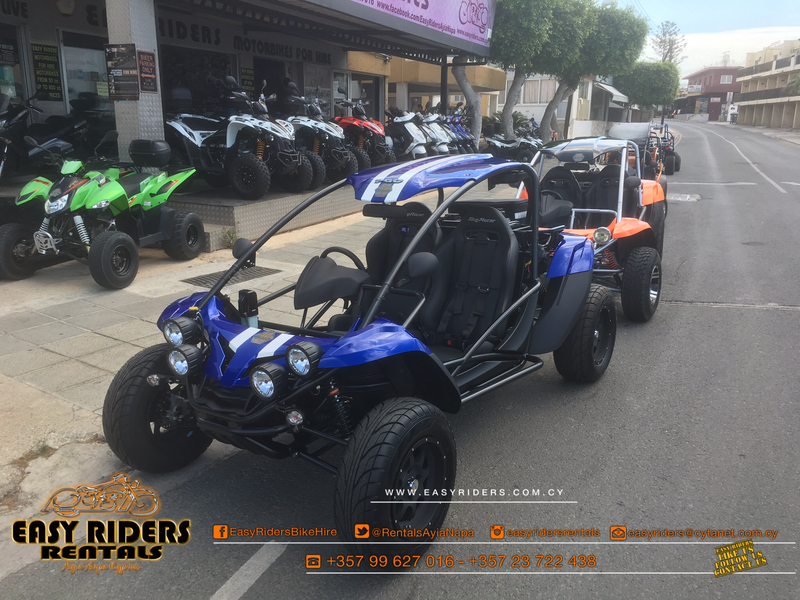 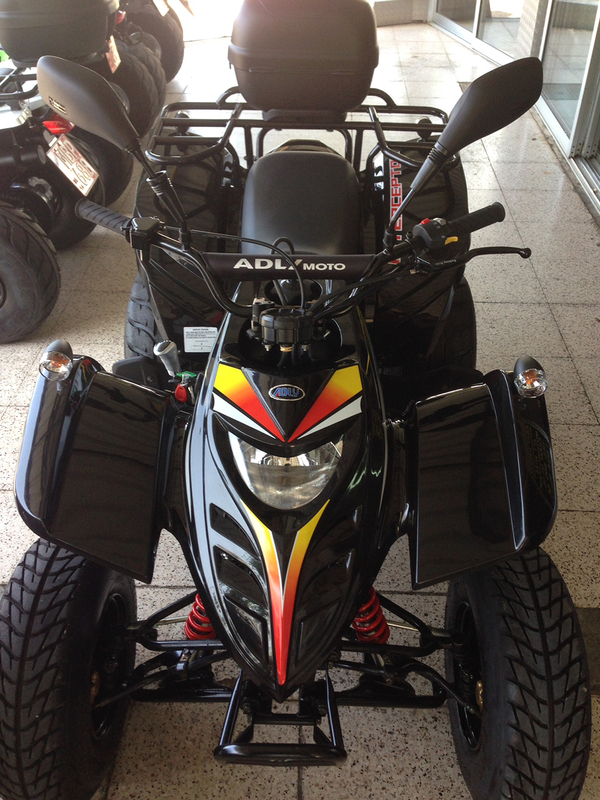 All motorcycles, quad bikes and buggies are tested, ready to use, and any technical problems are eliminated by the qualified personnel at the store, using all original parts. 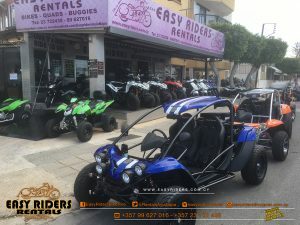 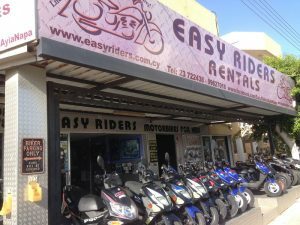 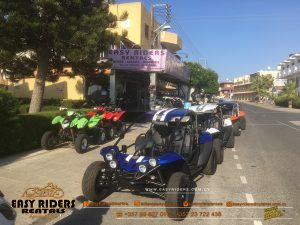 In addition, Easy Riders Rentals also provides Collision Damage Waiver Insurance and free road service throughout the Famagusta area, as well as free helmets, padlocks, road maps and advice on best locations & attractions to visit.